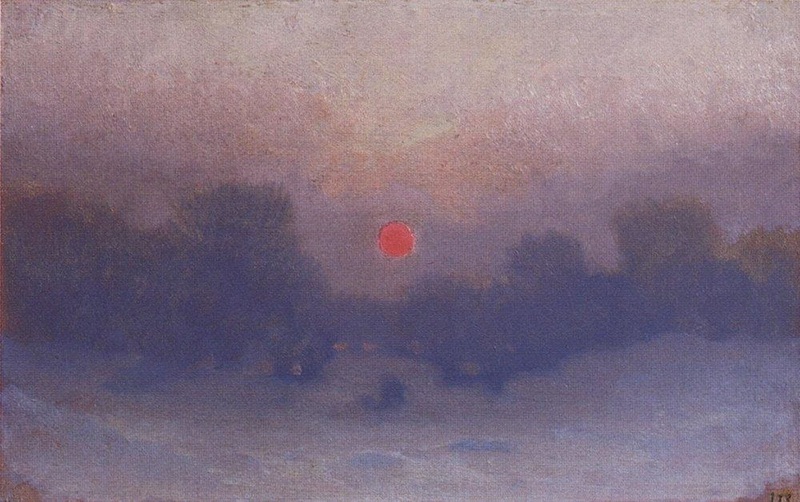 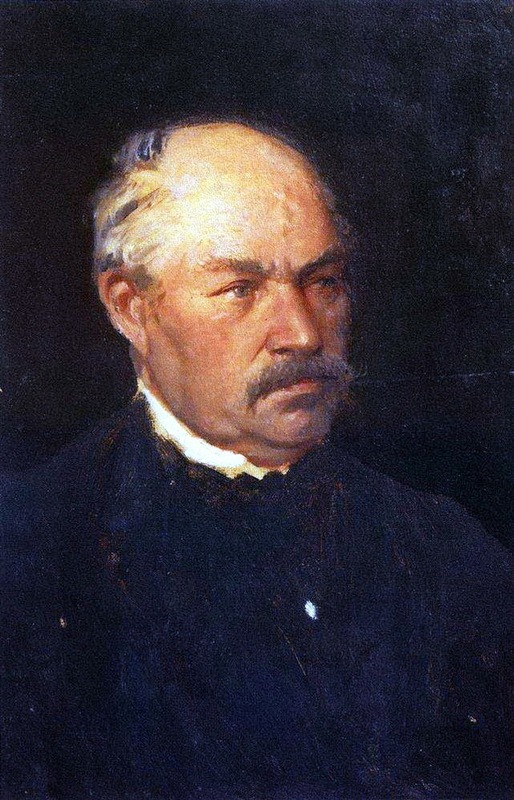 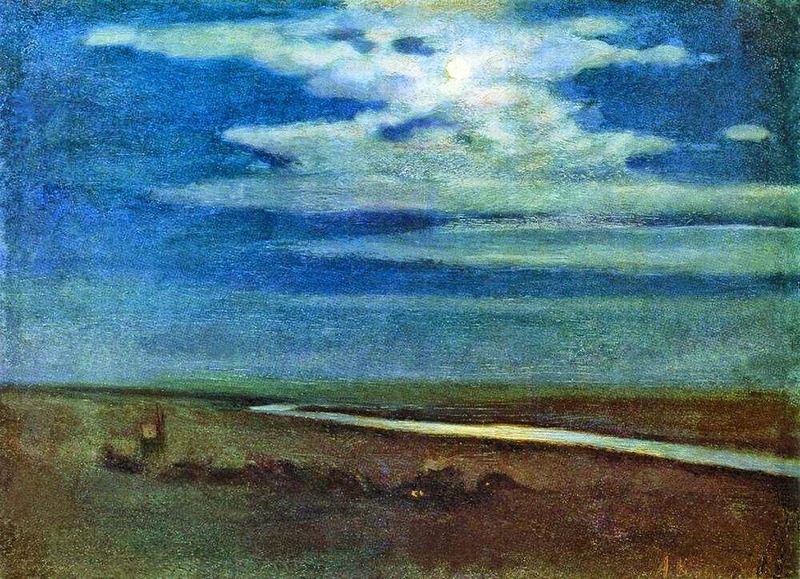 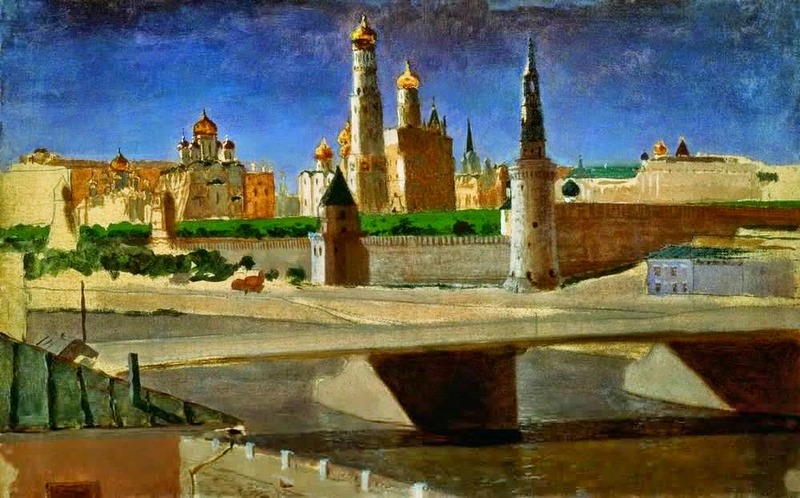 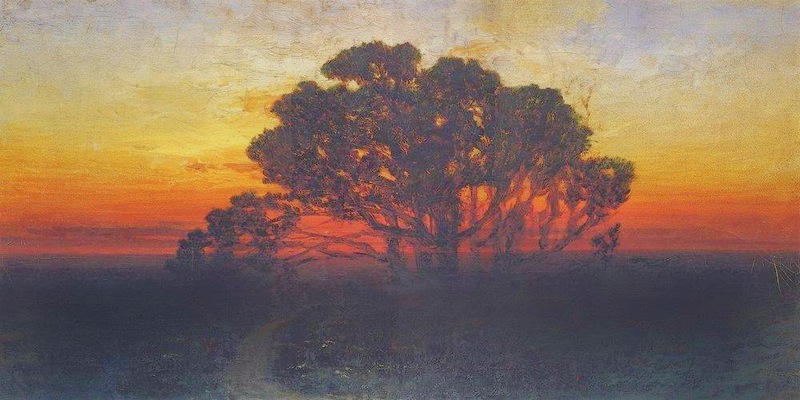 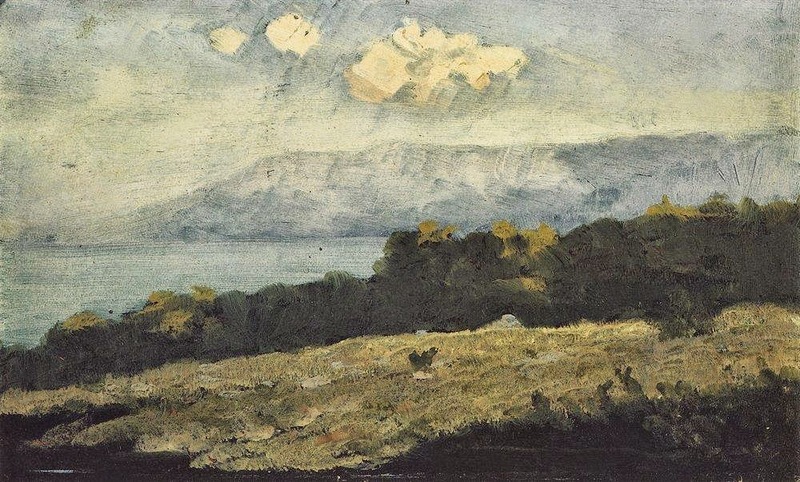 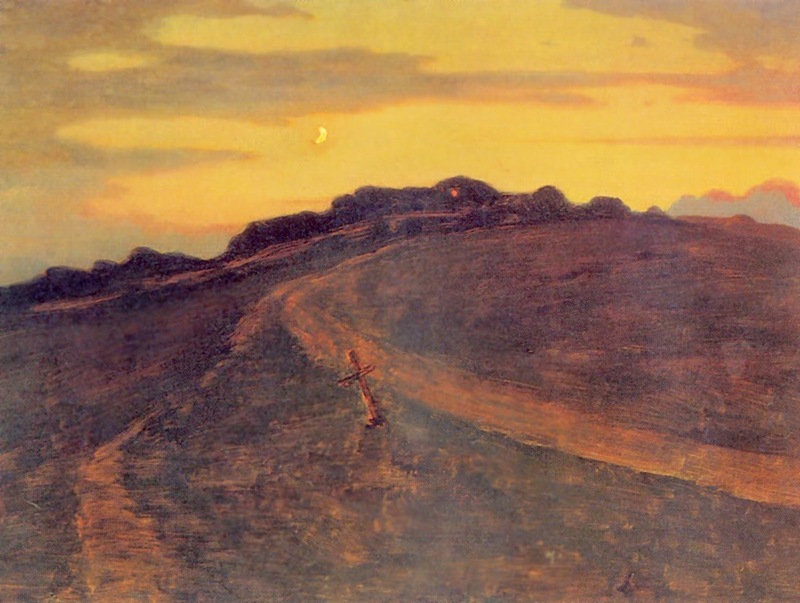 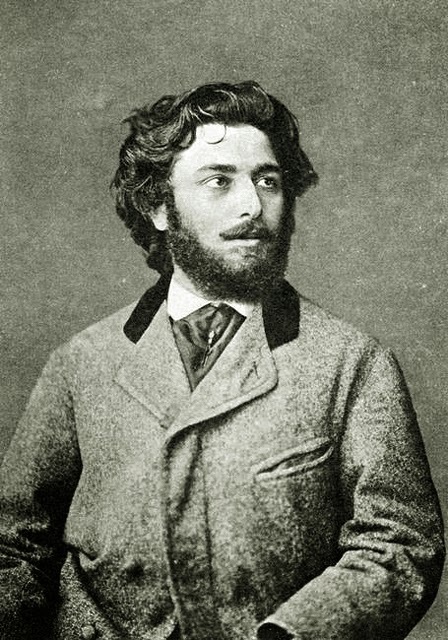 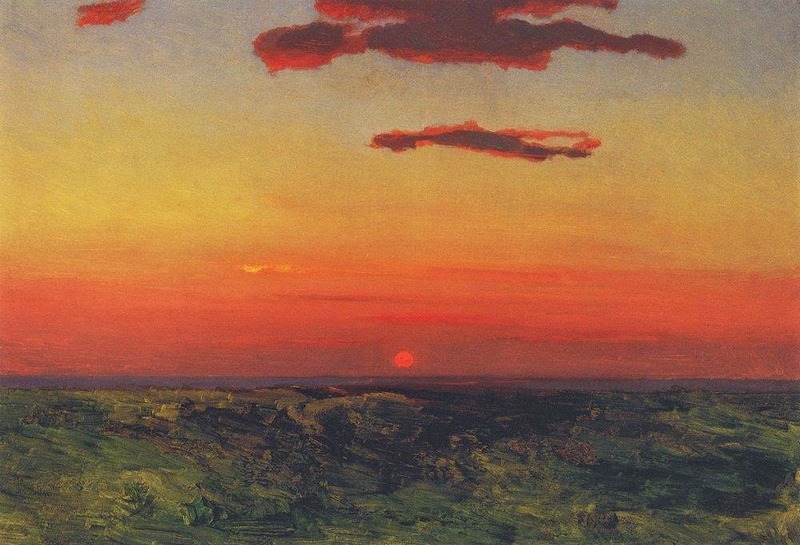 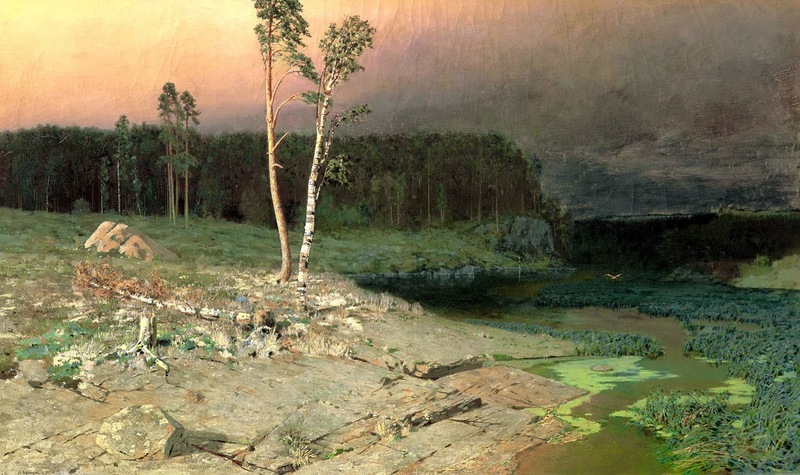 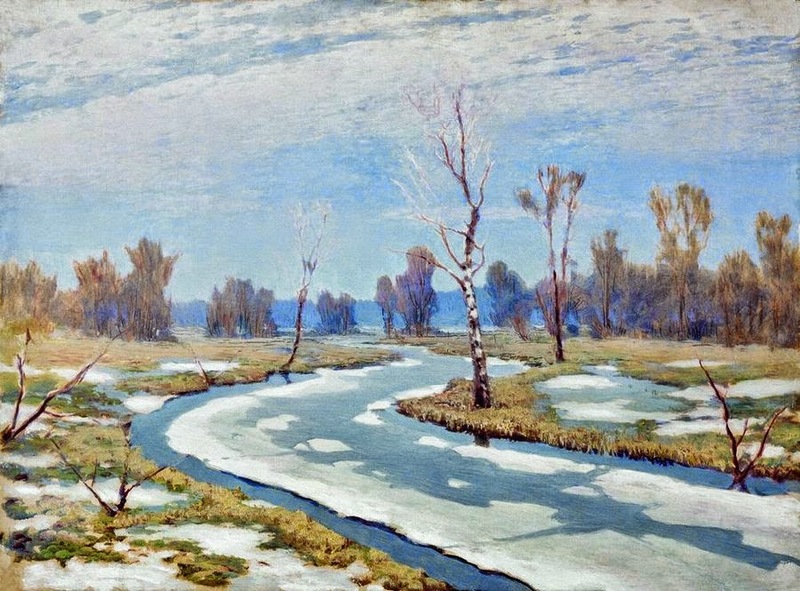 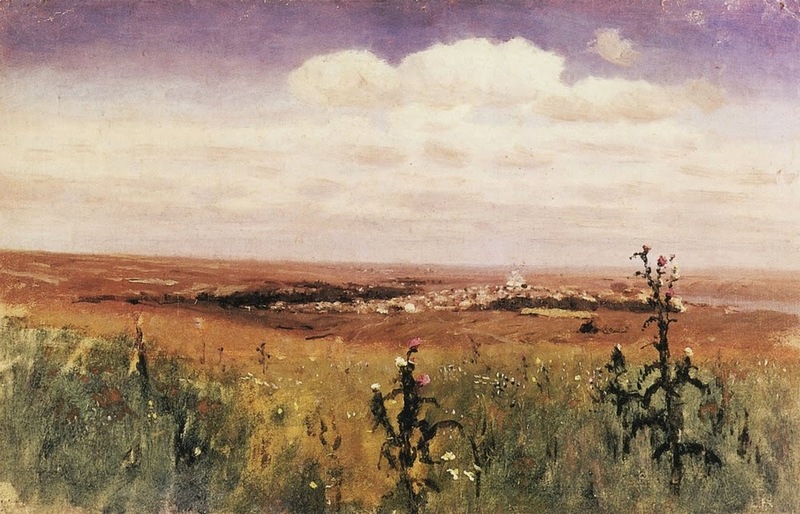 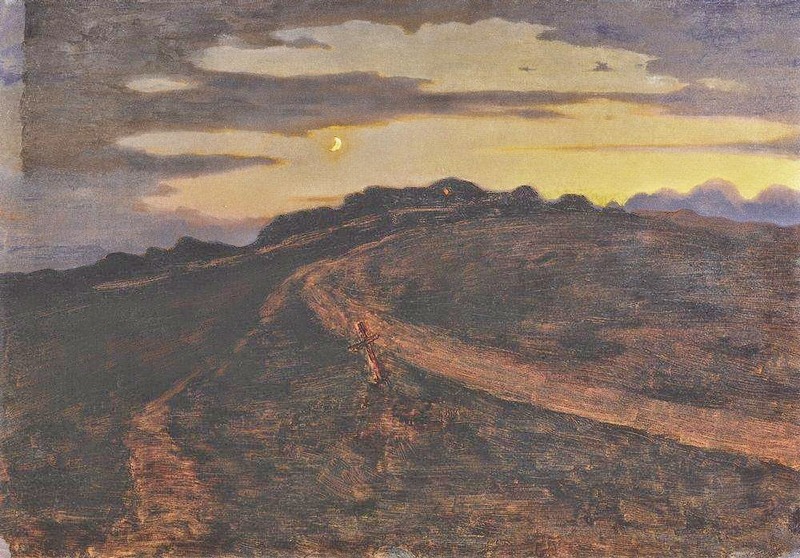 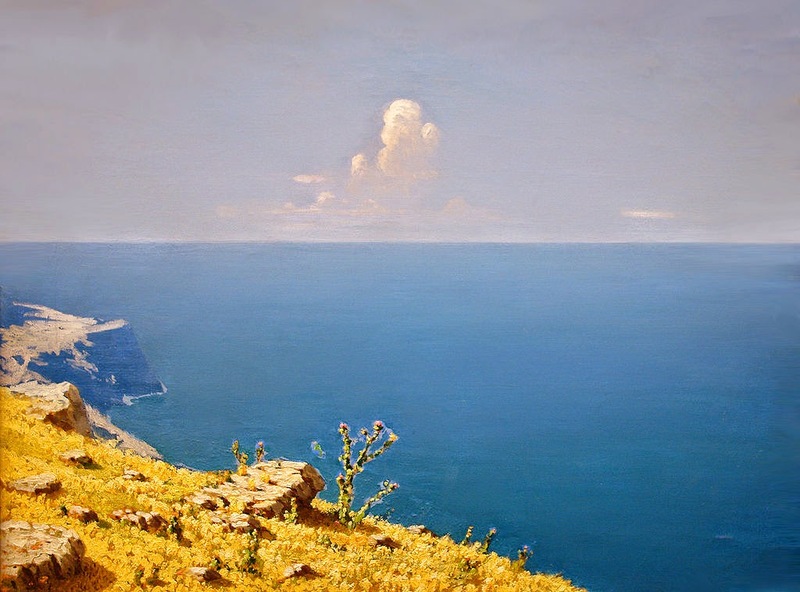 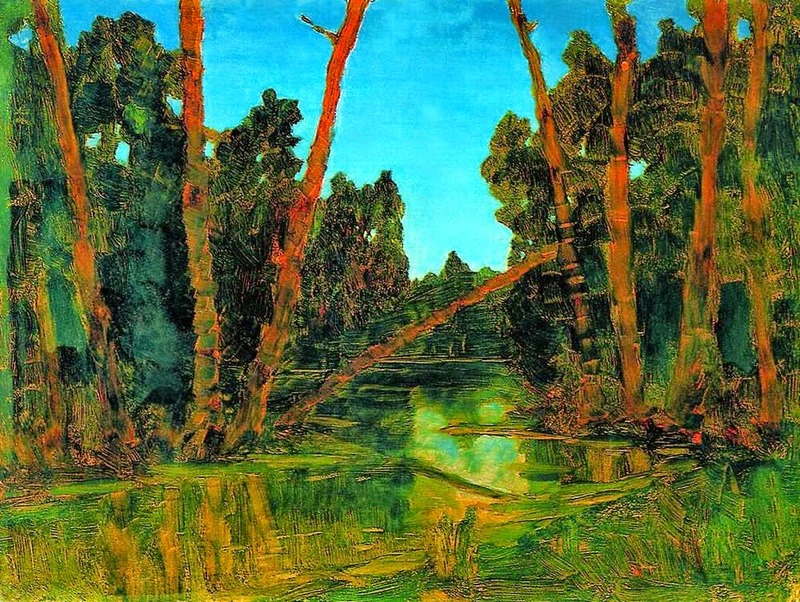 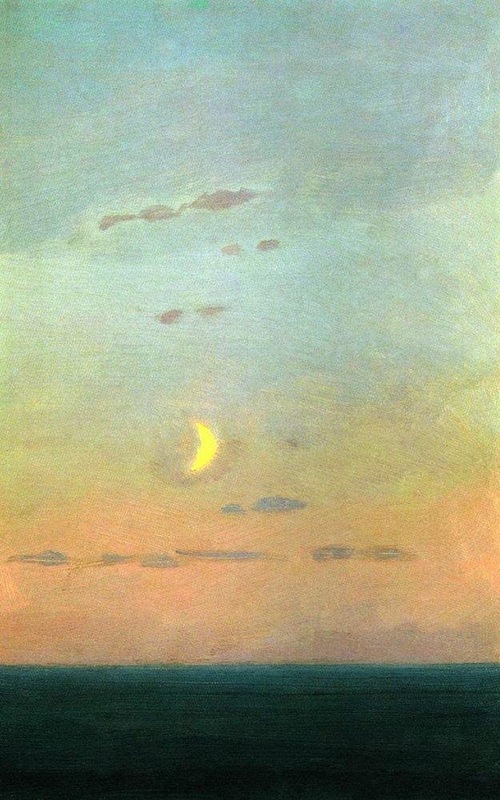 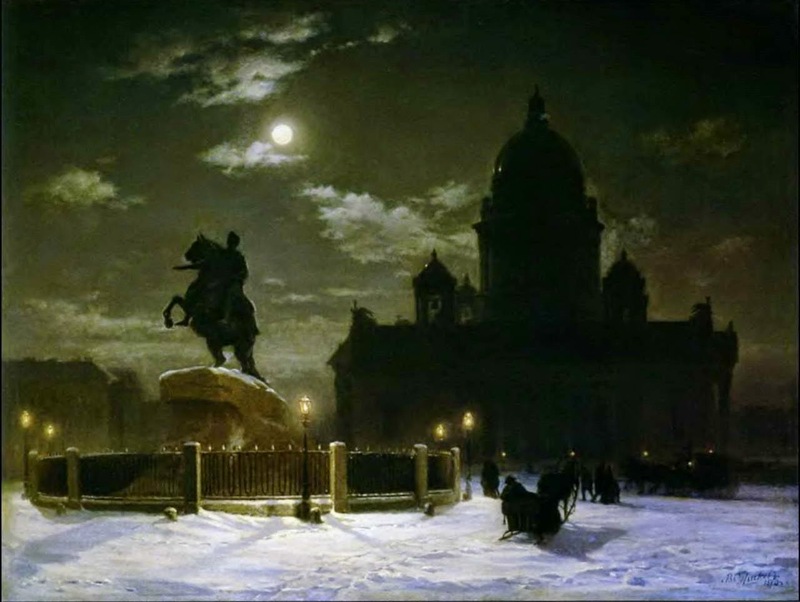 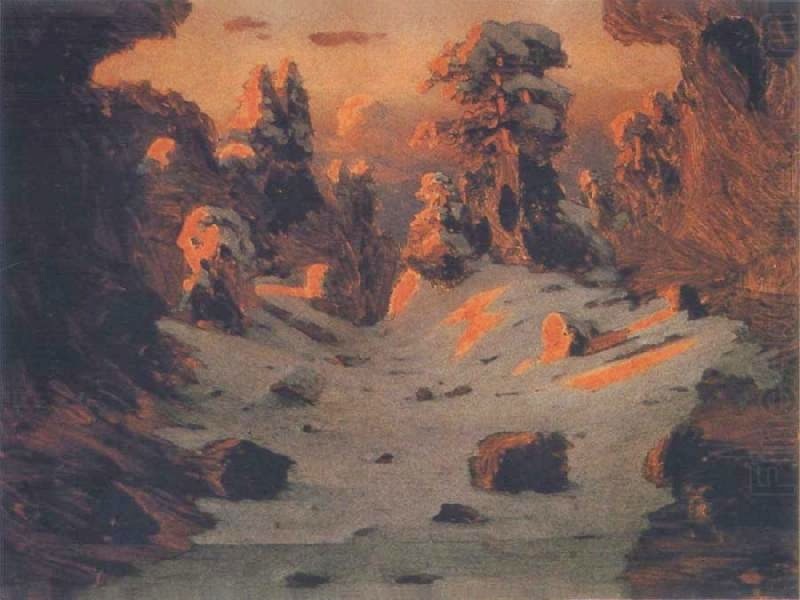 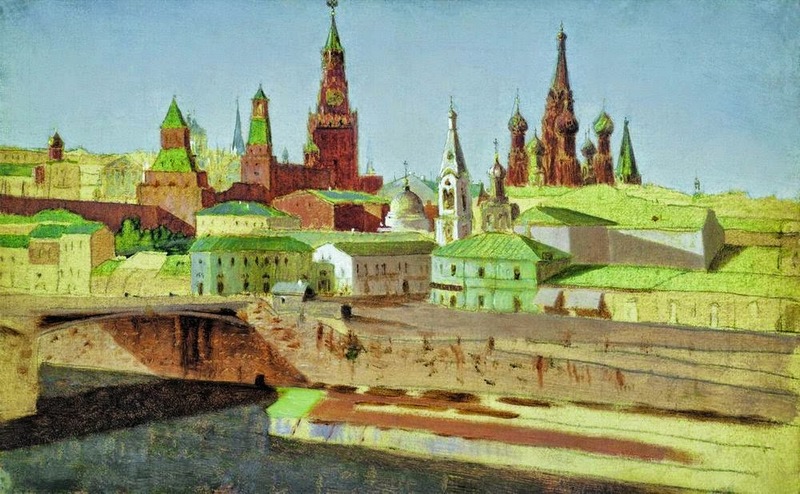 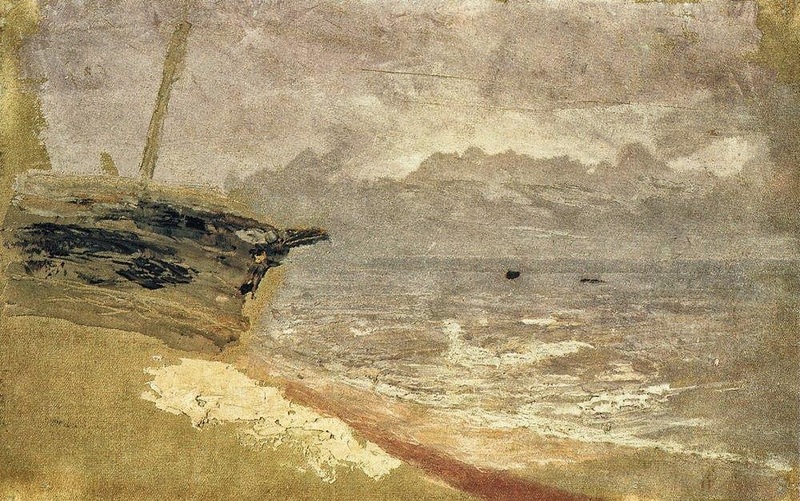 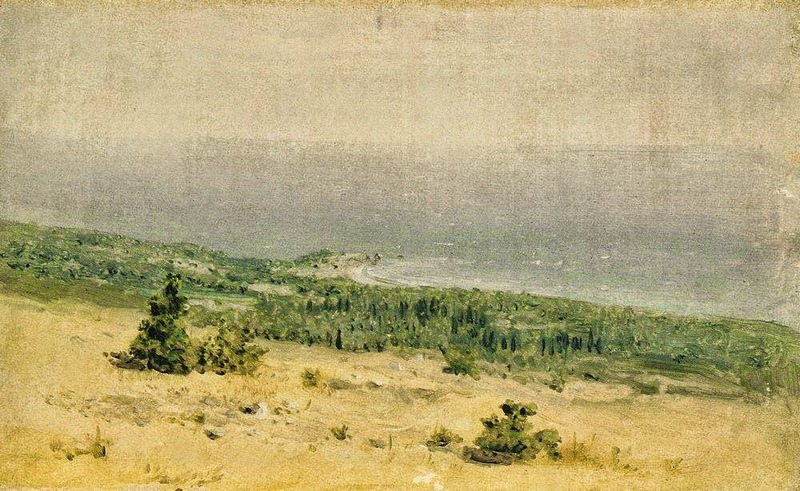 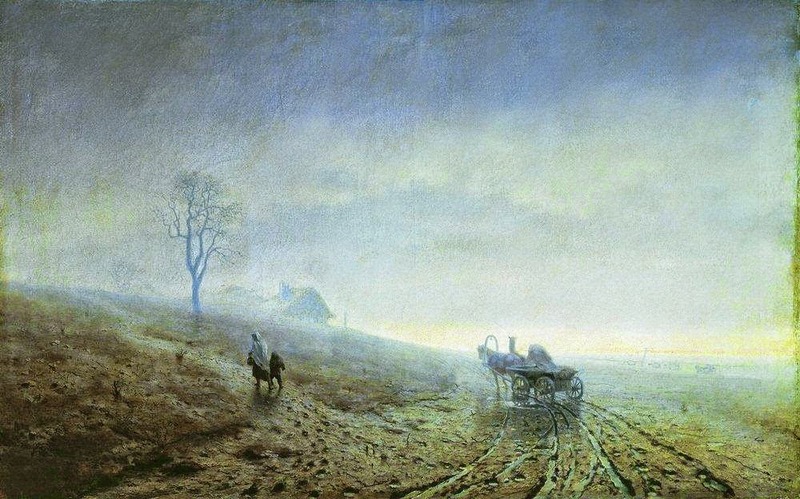 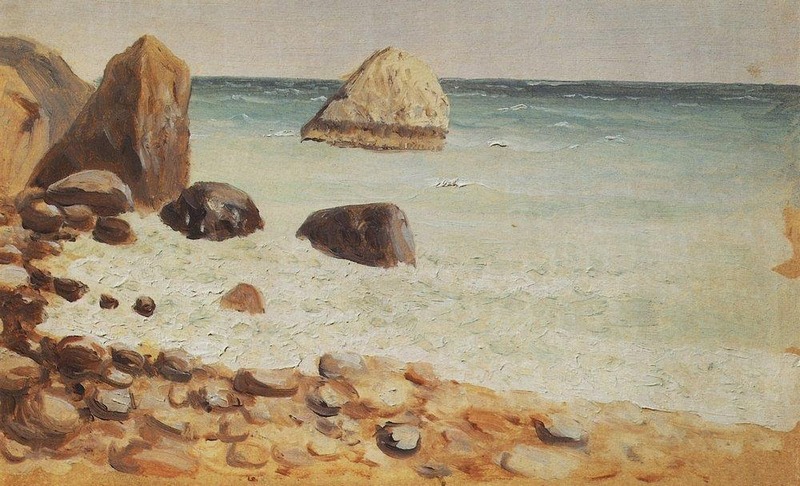 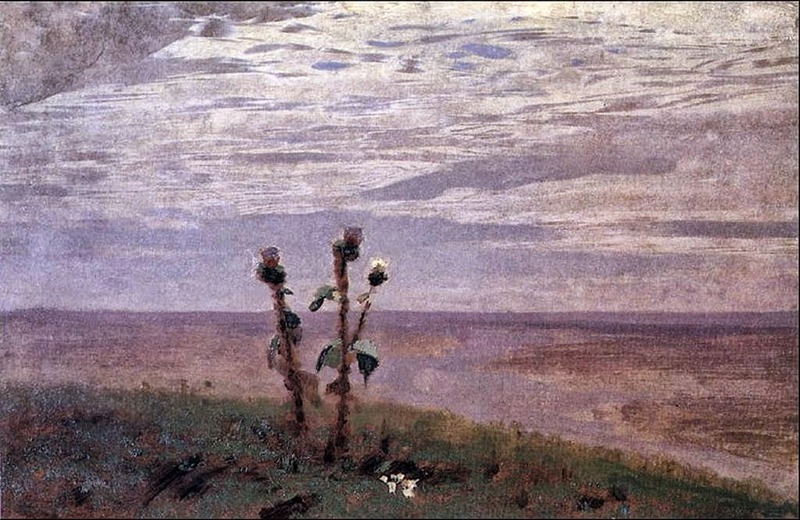 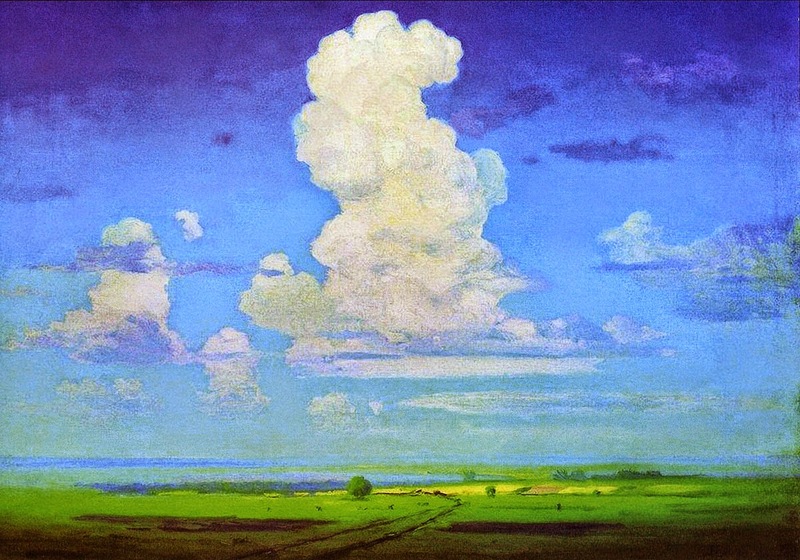 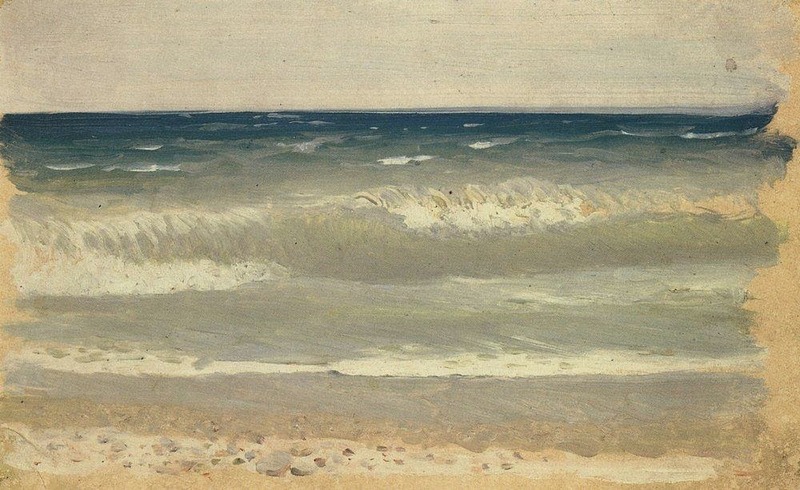 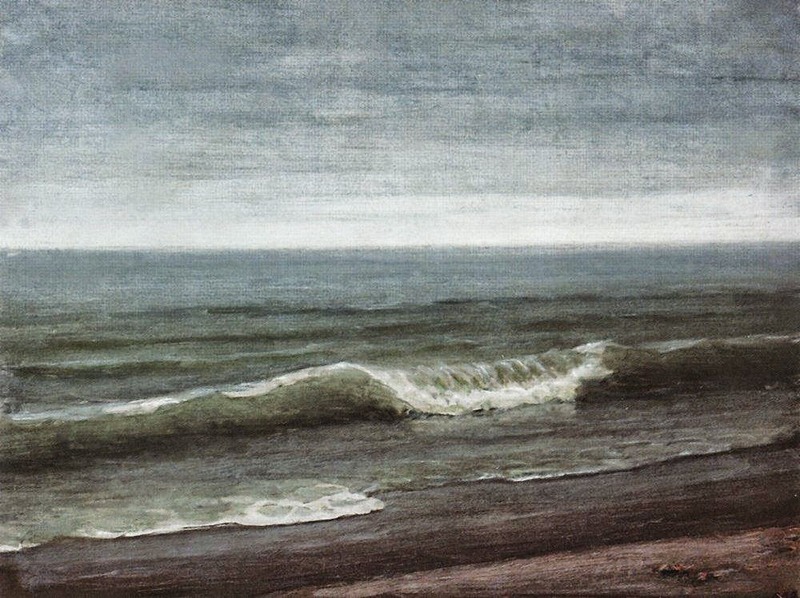 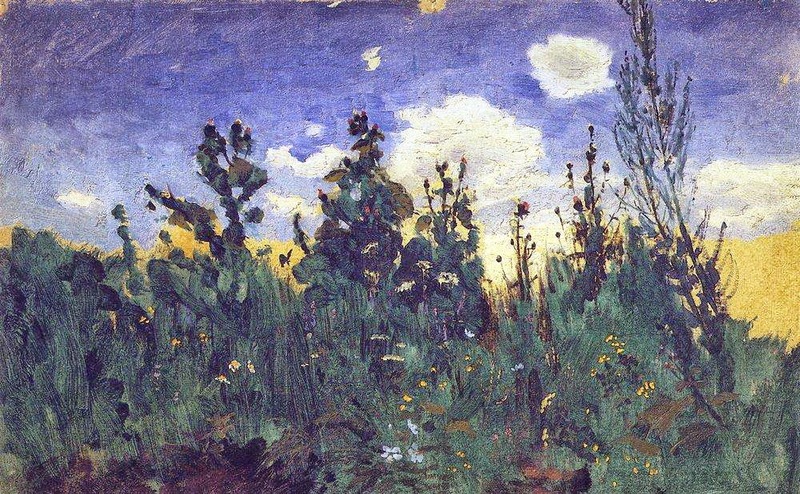 Архип Иванович Куинджи [1842-1910] is considered one of the most talented Russian landscape painters of his generation. 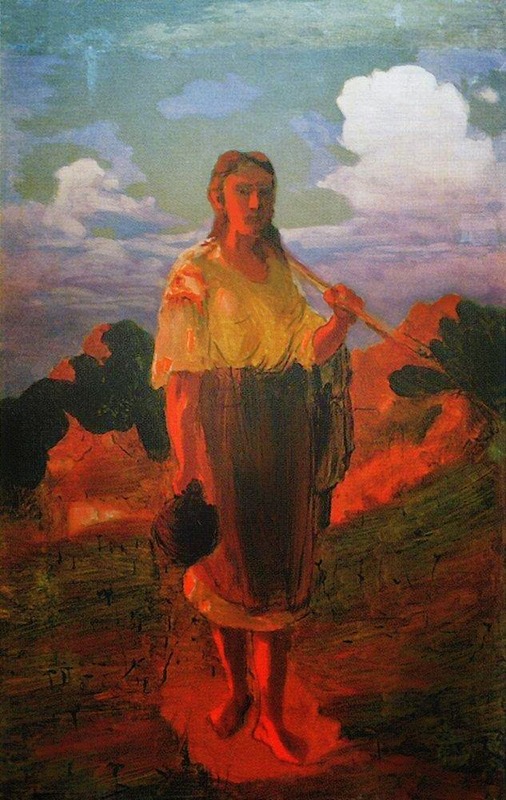 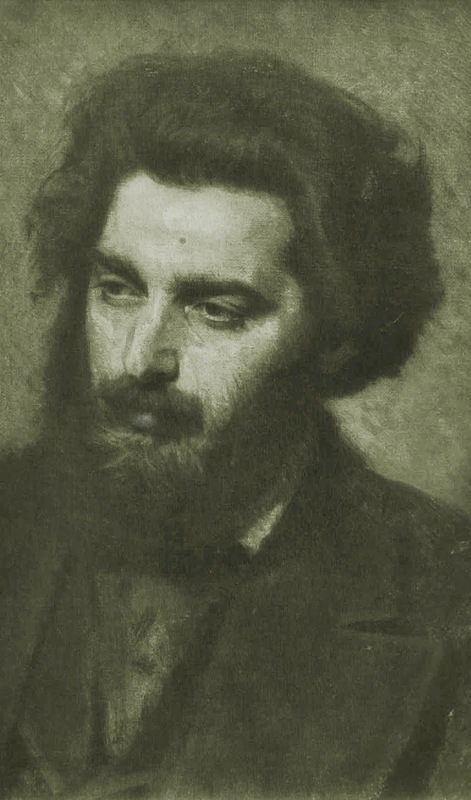 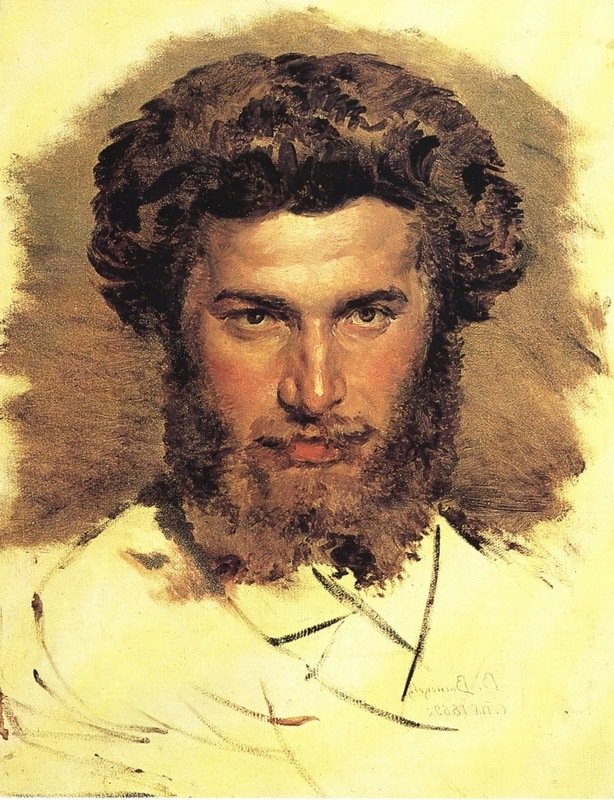 Born in Ukraine, he was associated during the second half of the 1870s with a group of Russian Realist painters known as the Wanderers. 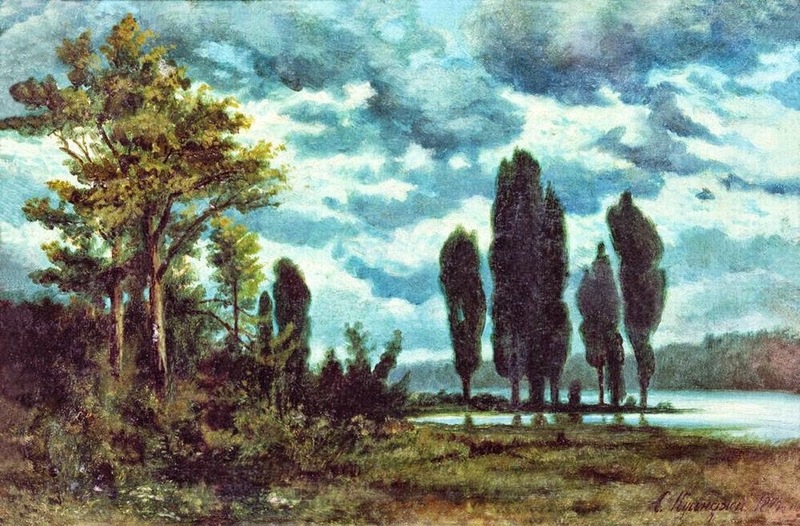 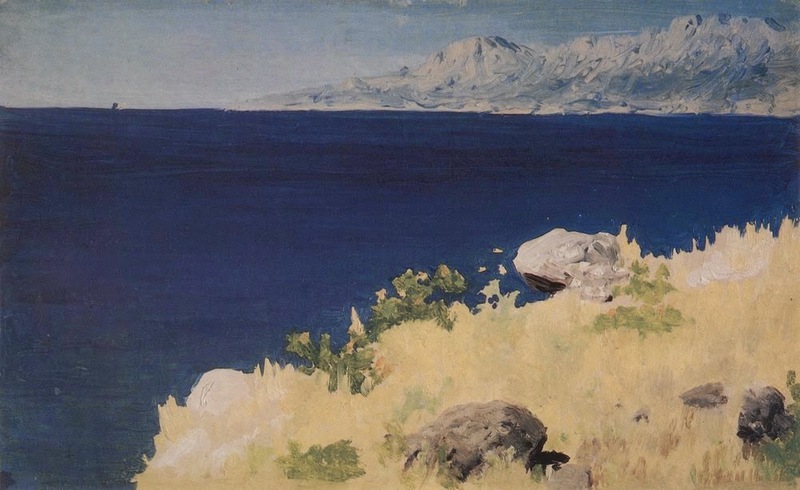 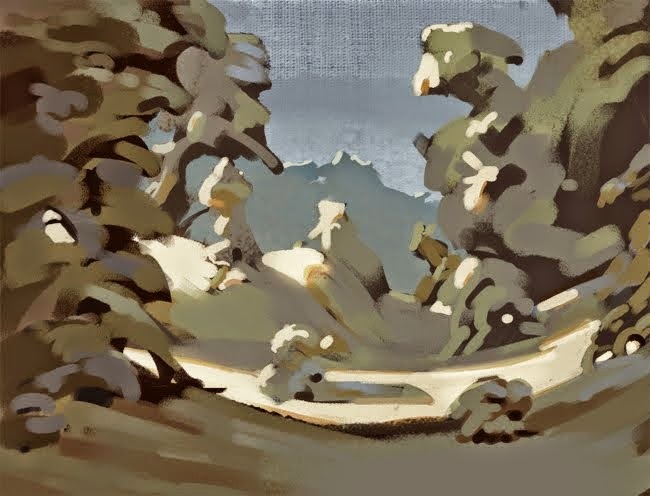 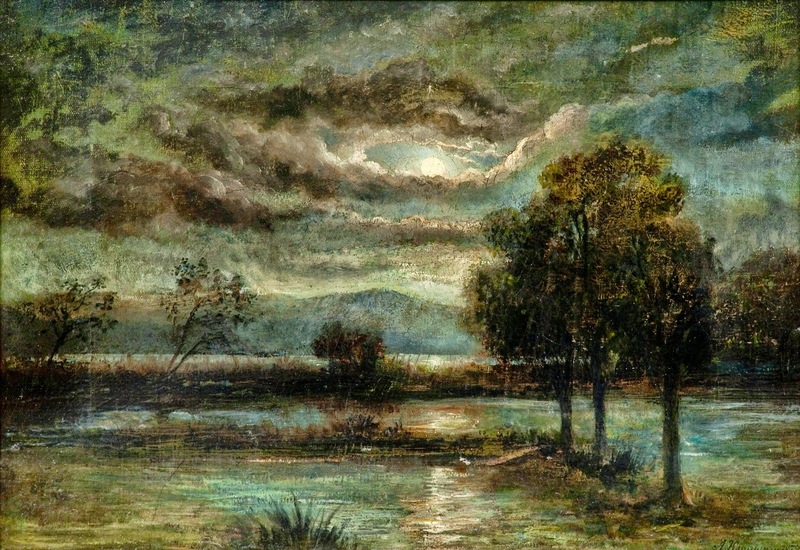 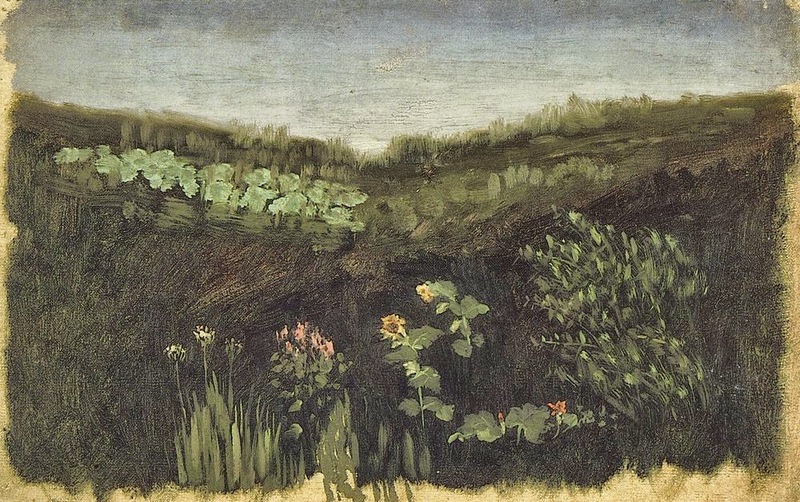 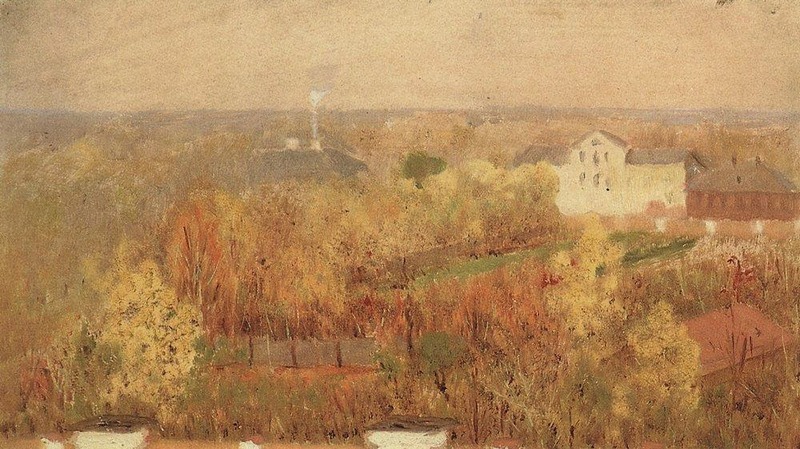 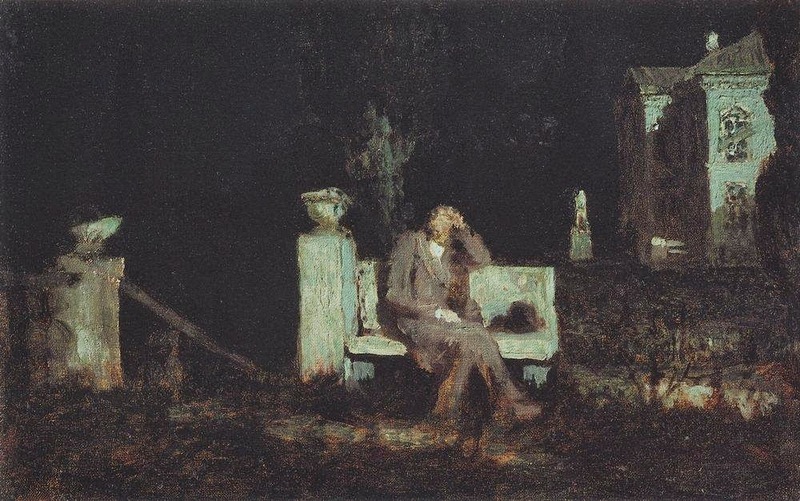 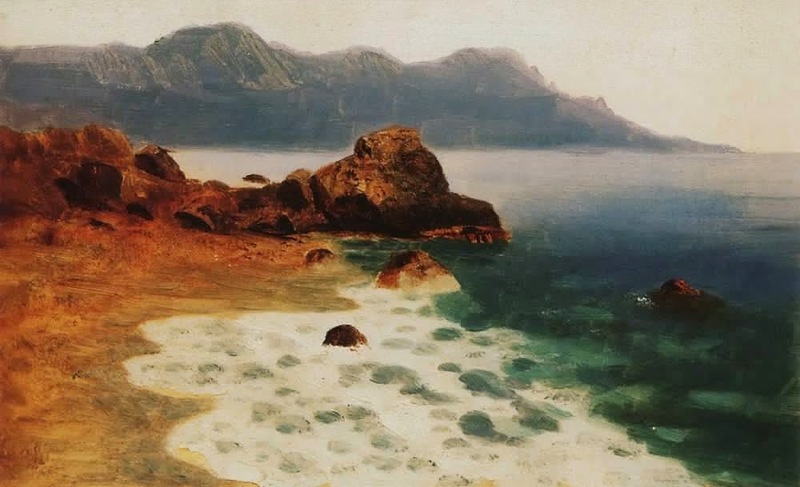 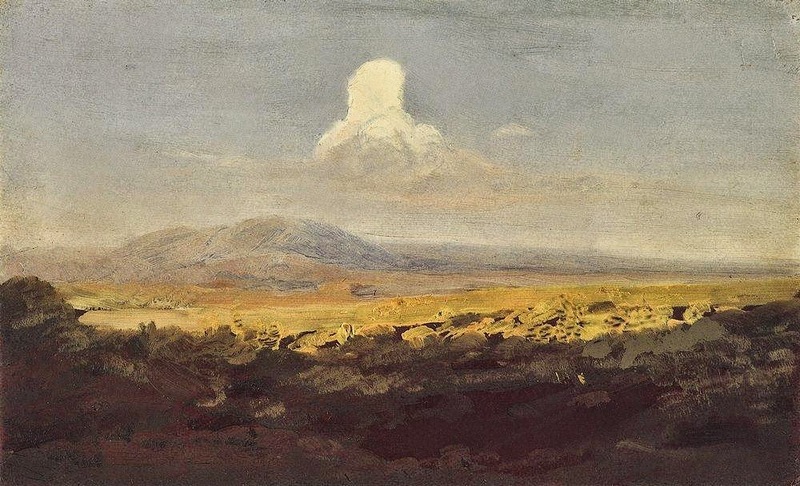 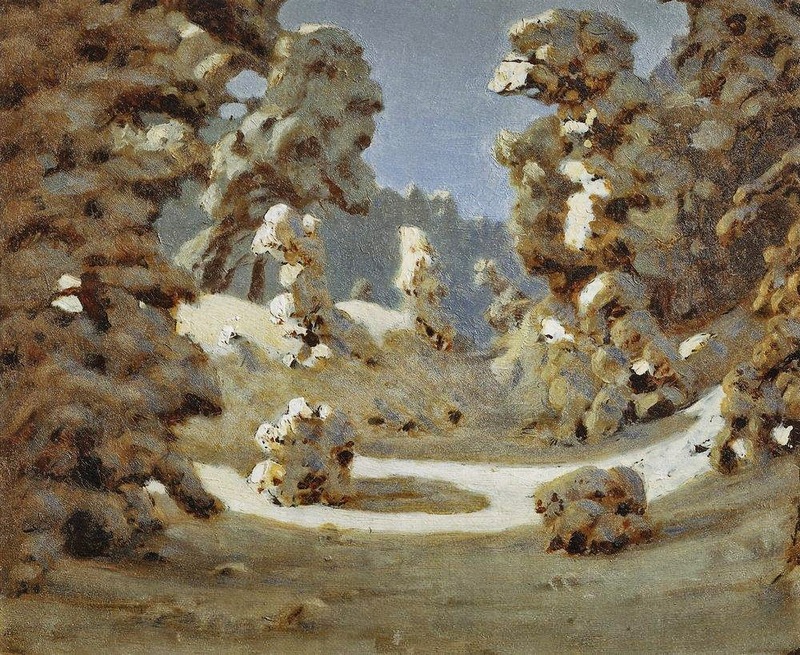 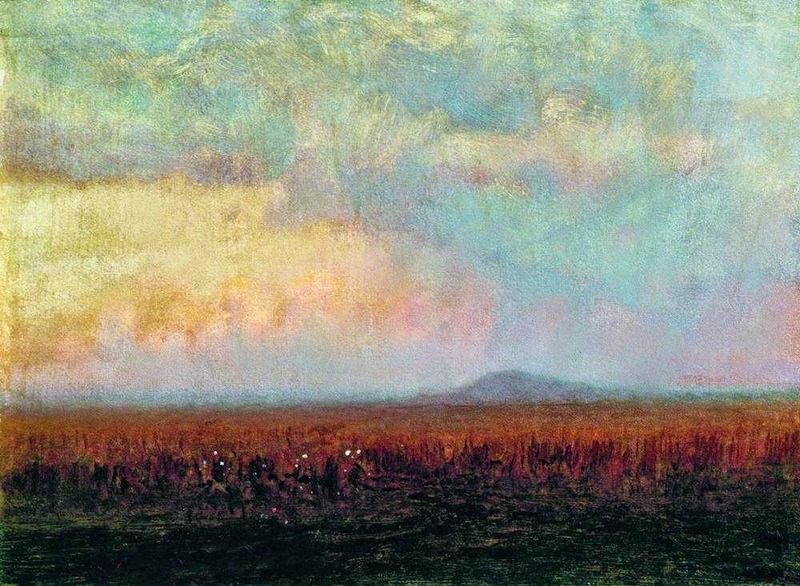 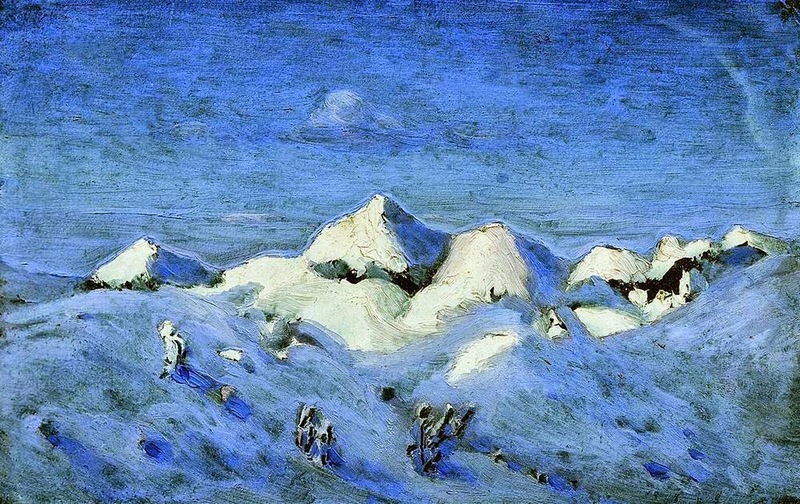 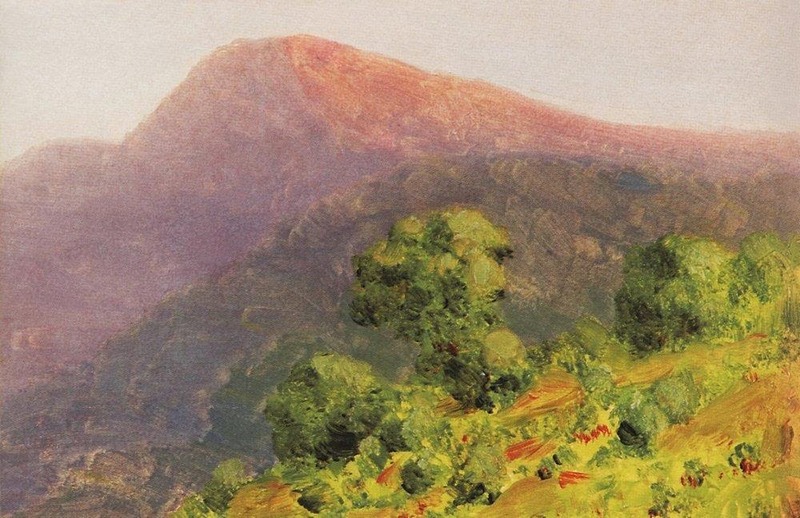 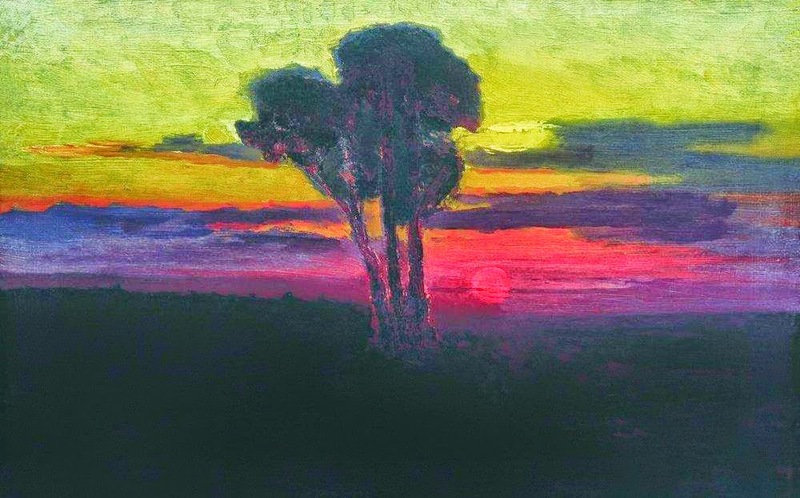 In the 1890s, he was hired to teach landscape painting at the Academy of Fine Arts but was later dismissed for sympathizing with student agitators. 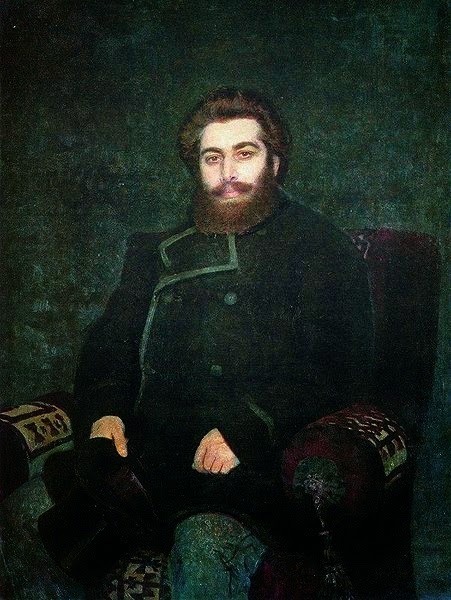 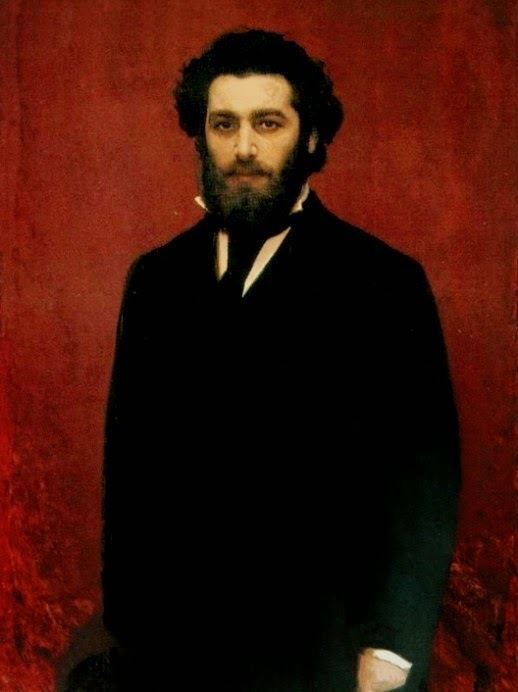 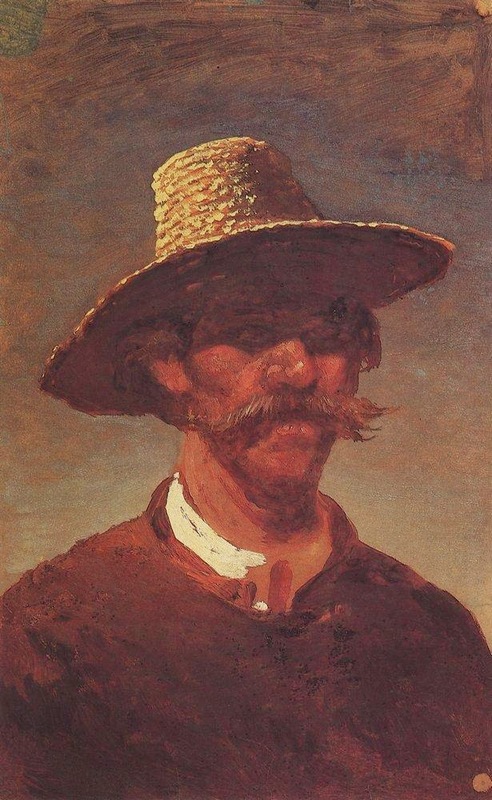 He ultimately founded his own painting society. 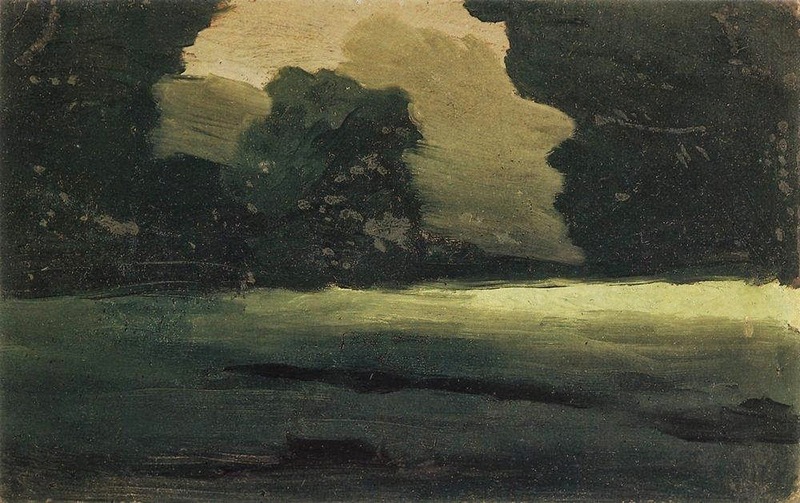 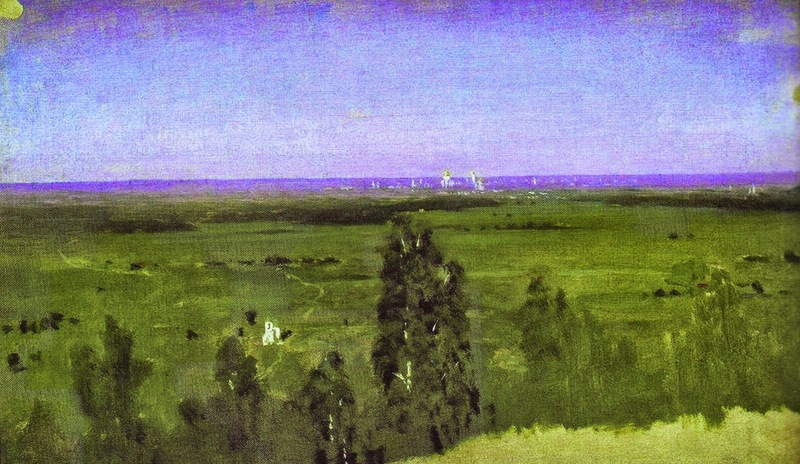 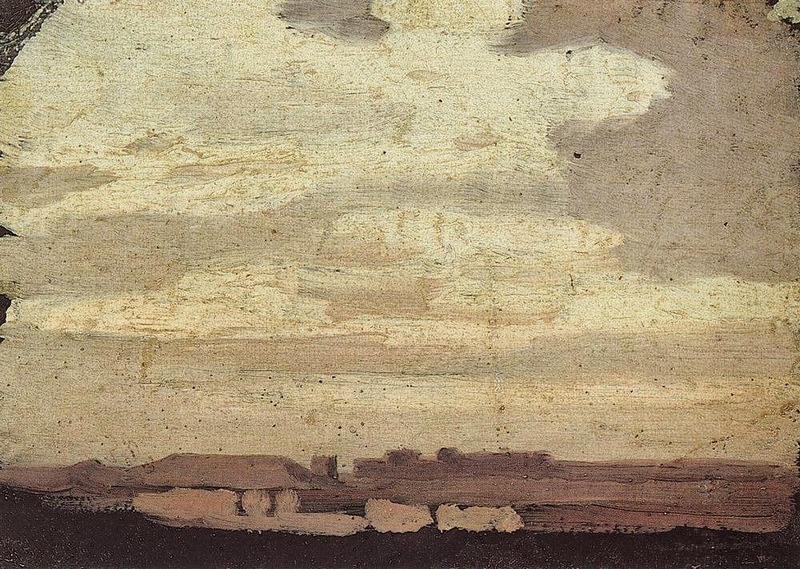 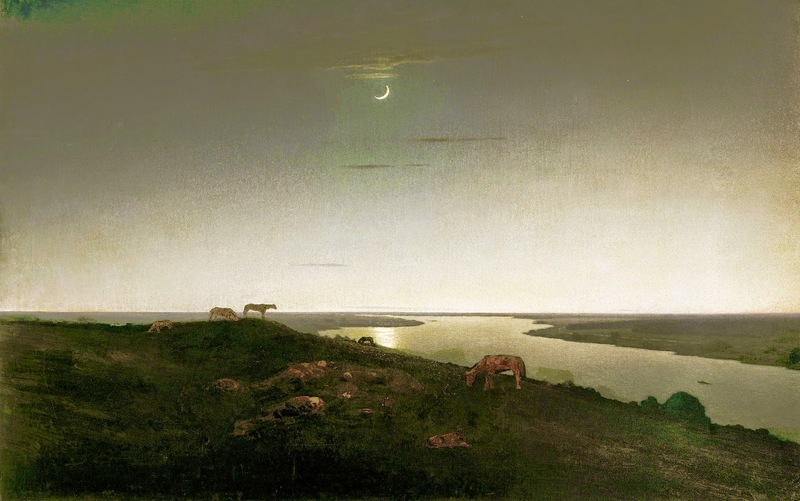 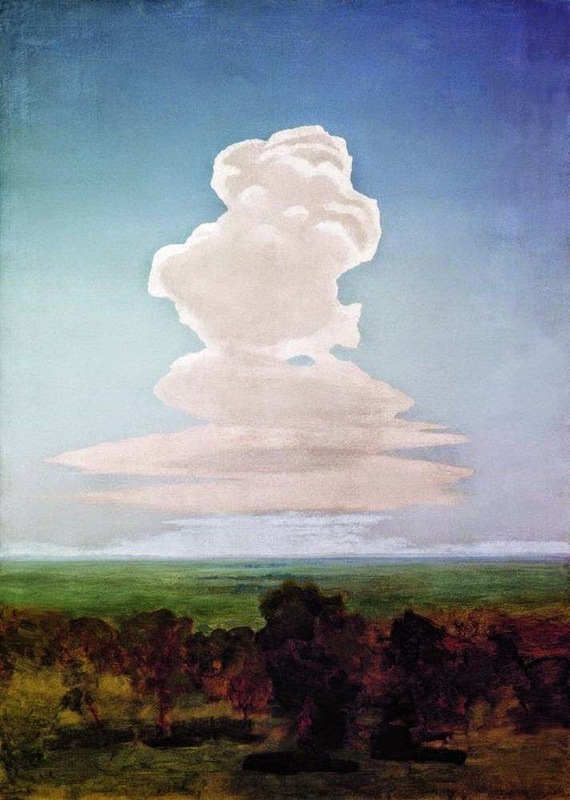 This late major painting is typical of Kuindzhi, who is best known for his large, nearly empty landscapes. 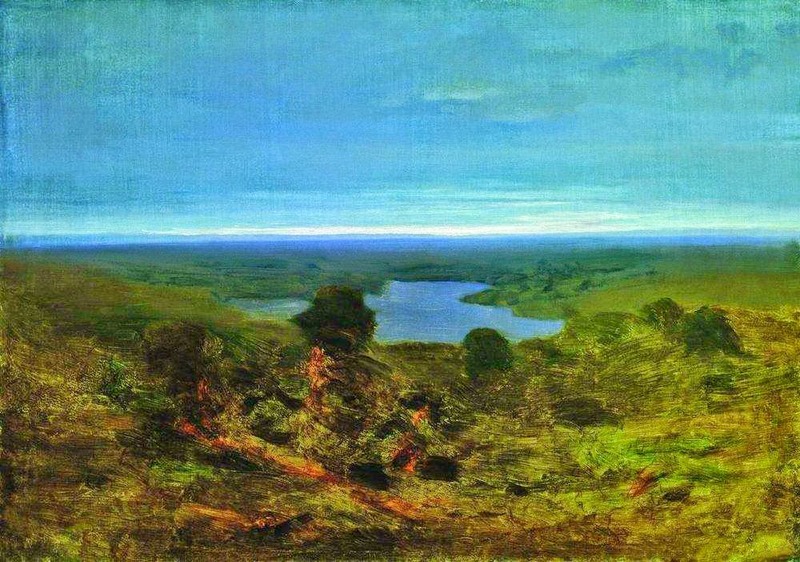 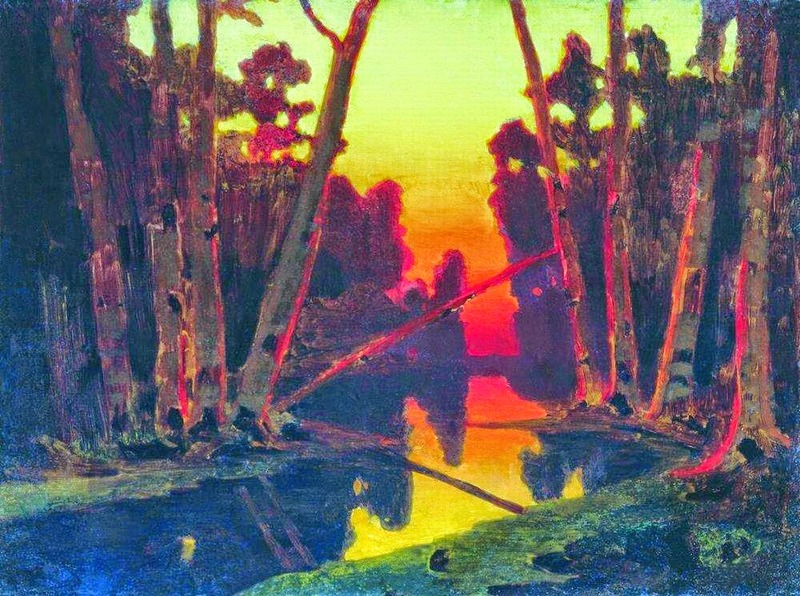 The scene shows a sunset over the banks of the Dnieper, a great river that originates west of Moscow and runs far south into the Black Sea. 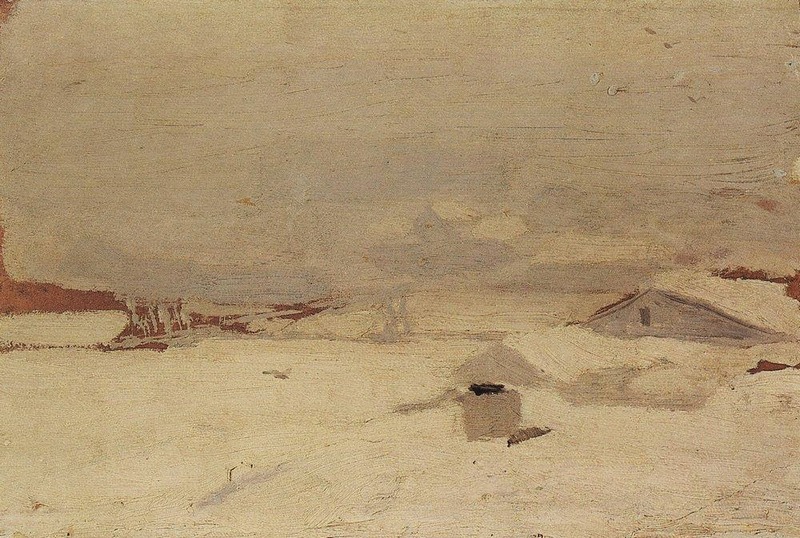 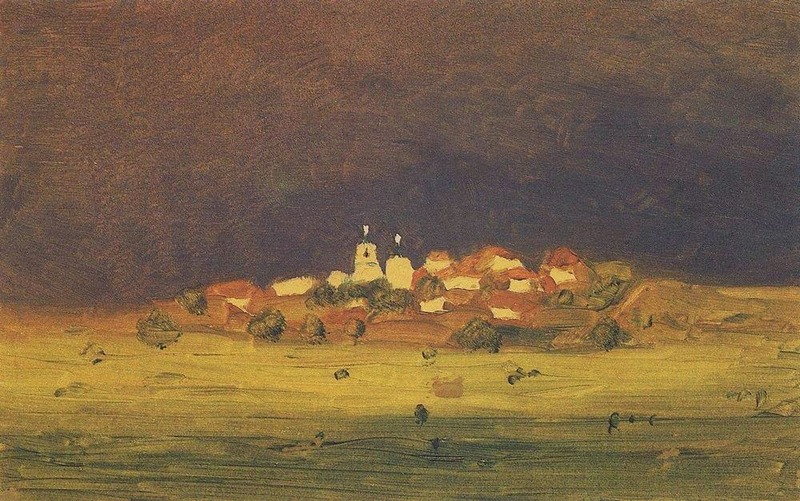 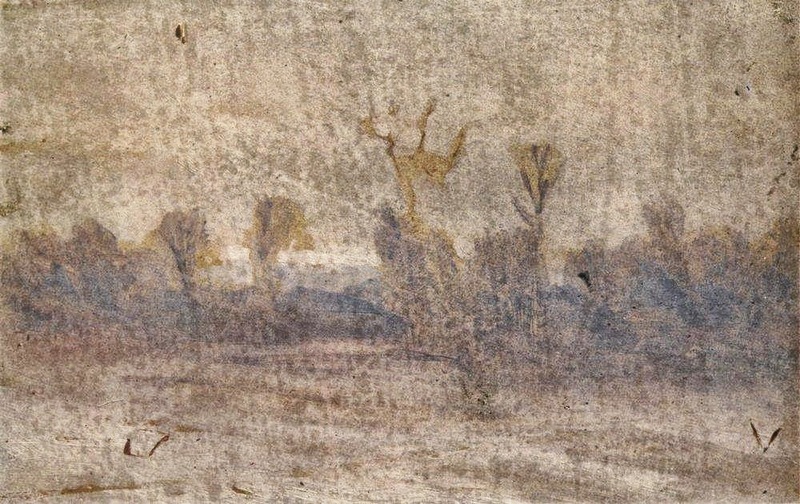 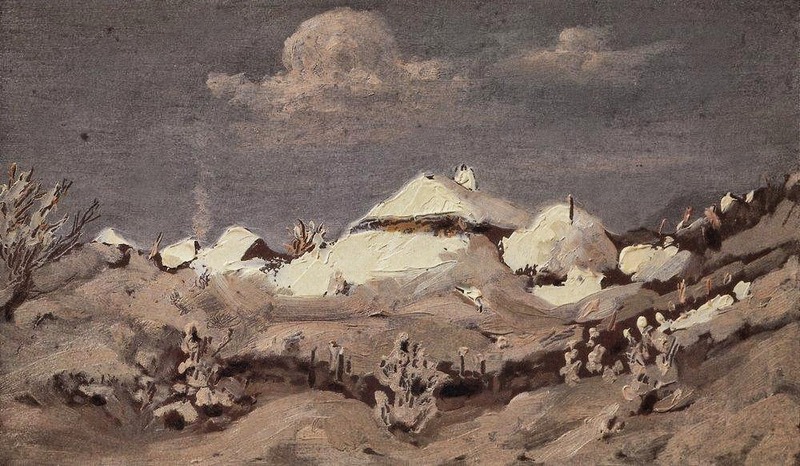 The dark shapes in the foreground represent a cluster of thatched-roof huts, typical of the region. 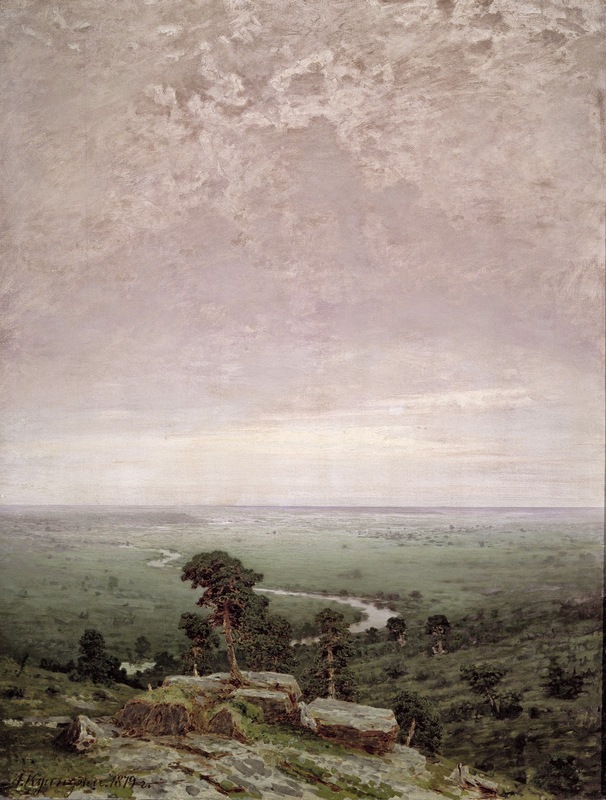 | © The Metropolitan Museum of Art. 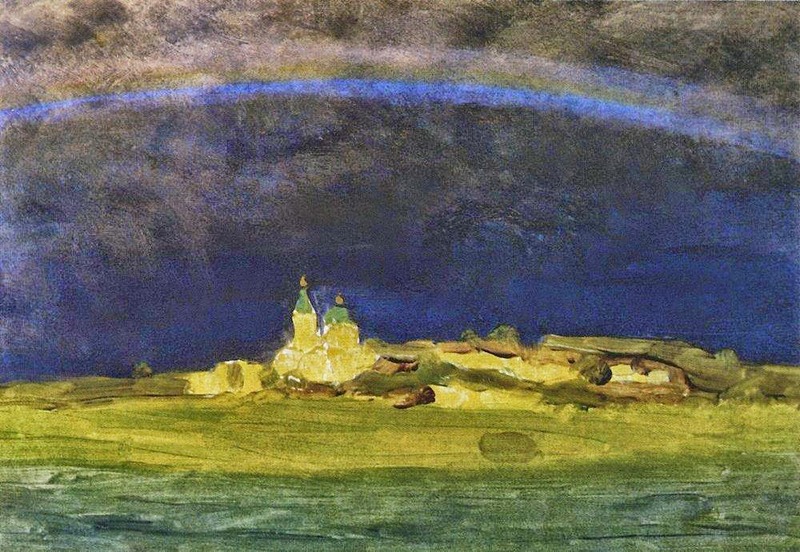 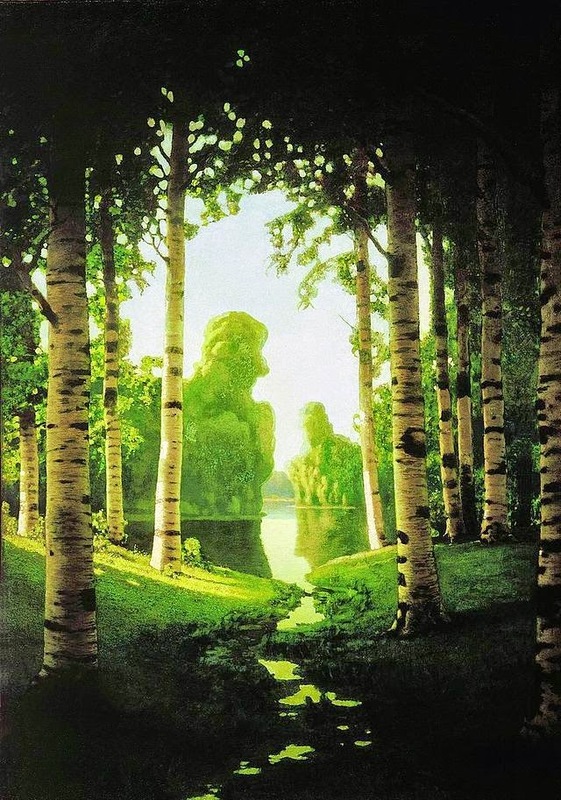 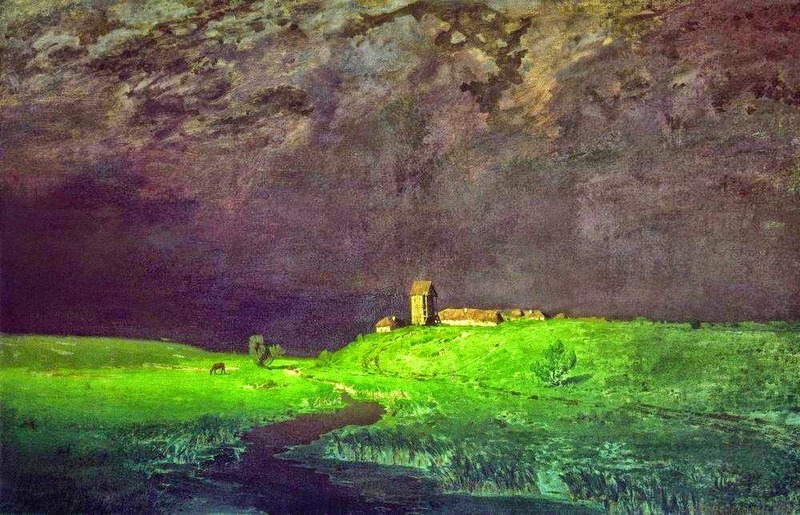 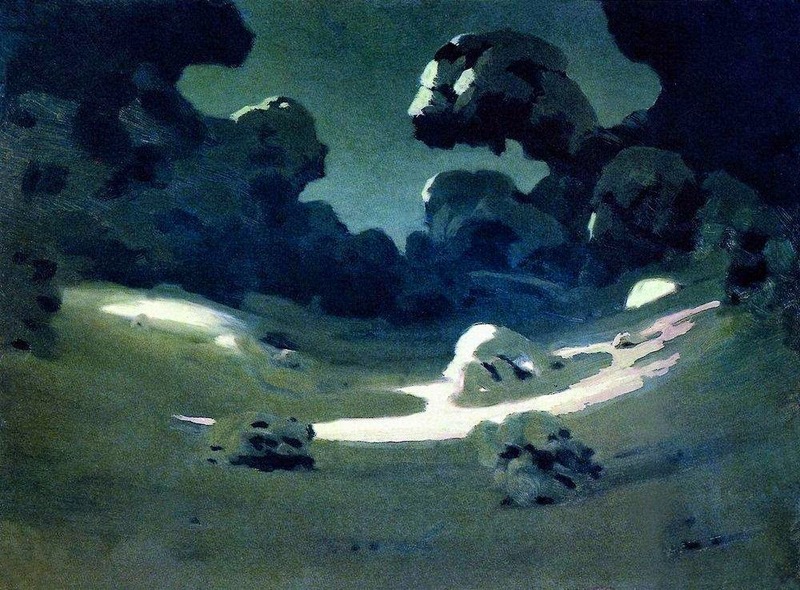 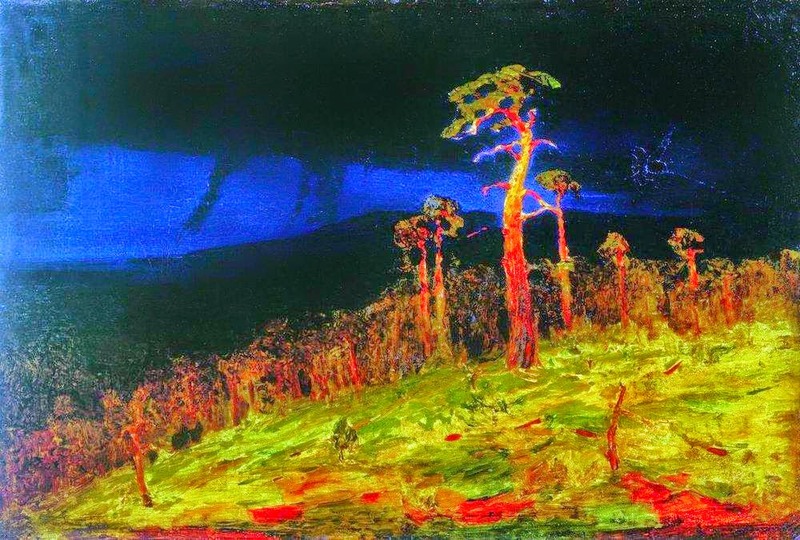 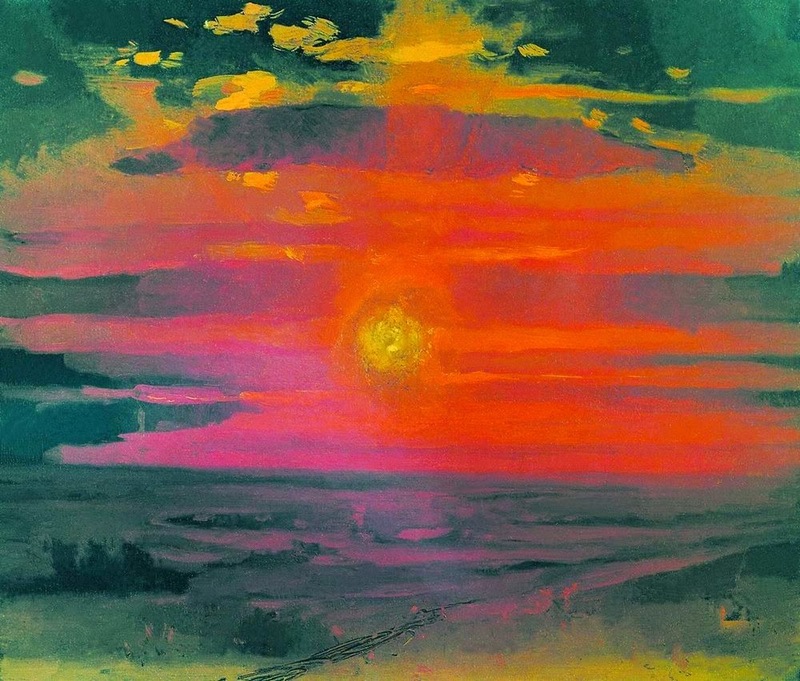 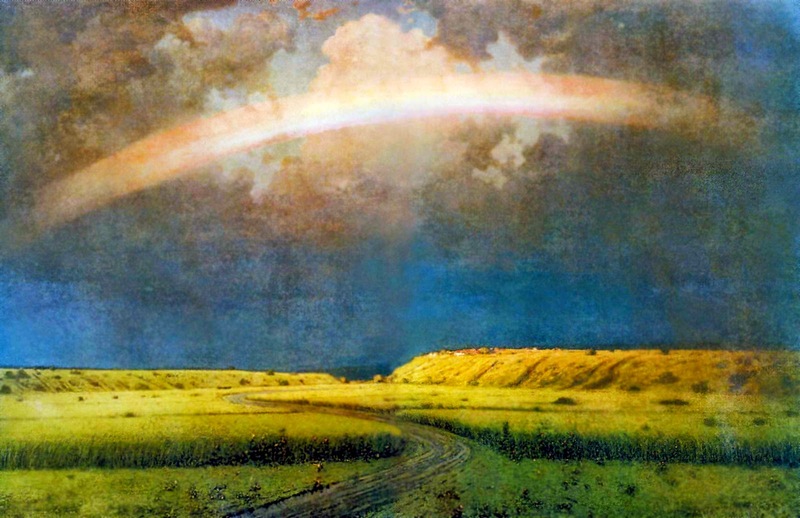 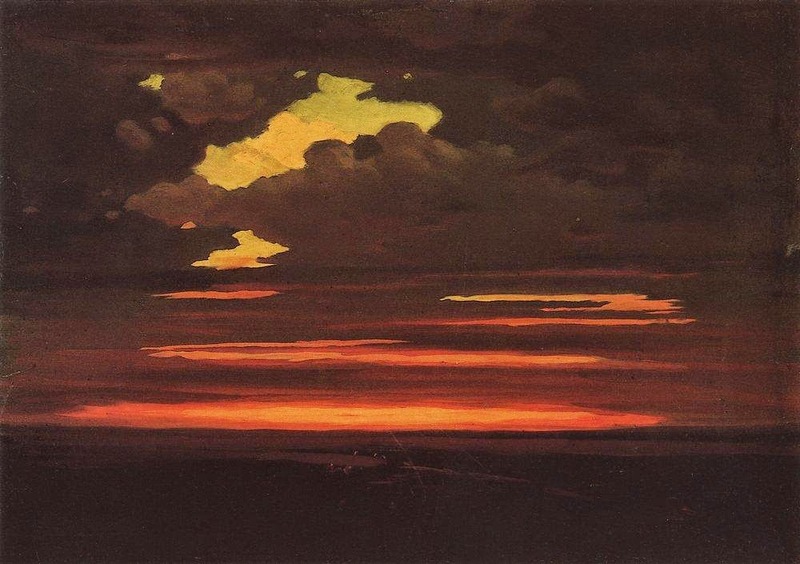 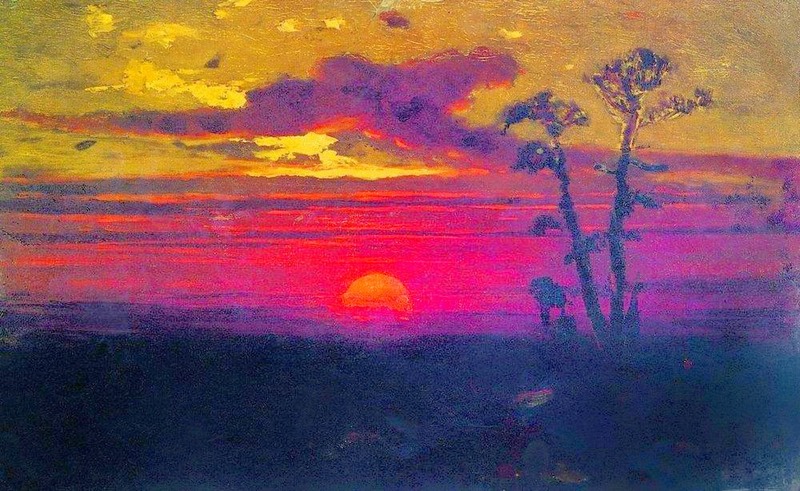 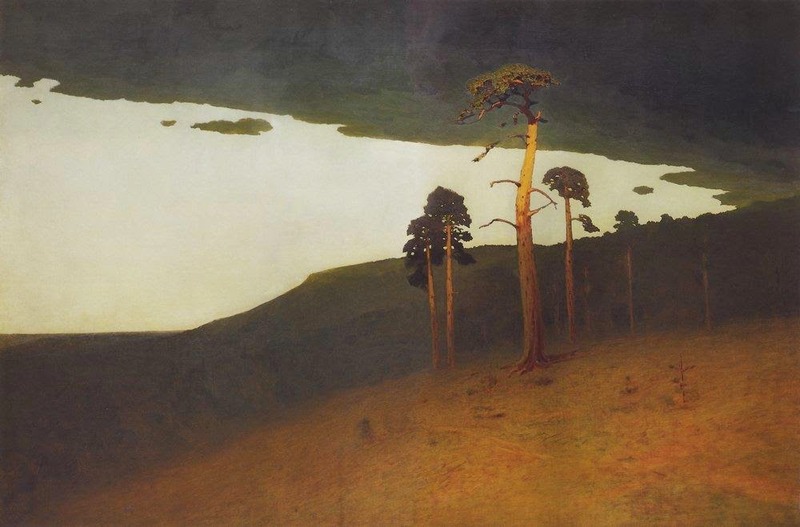 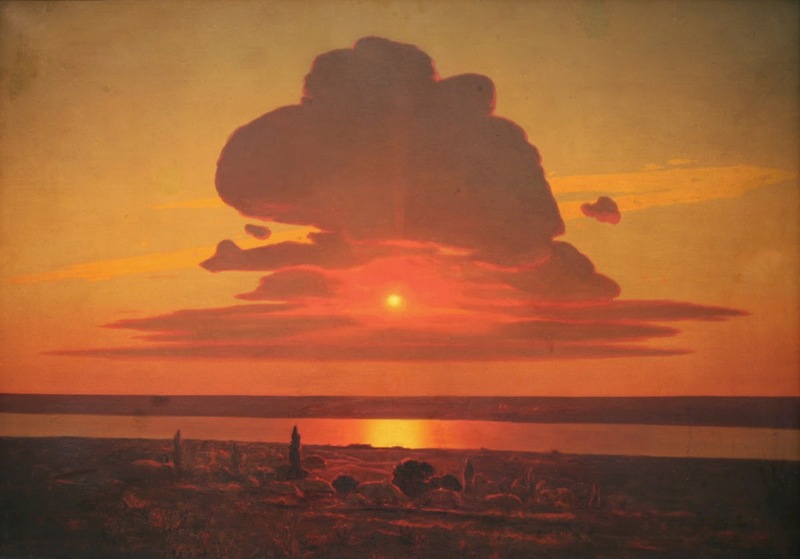 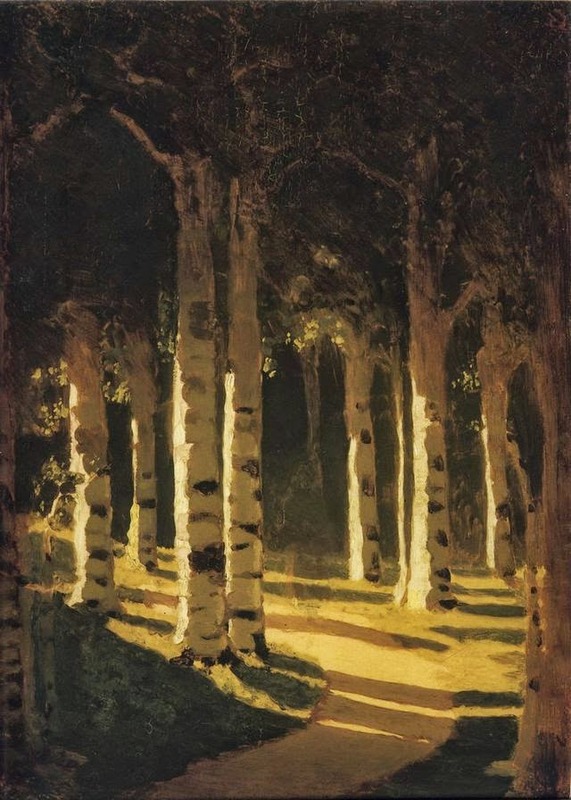 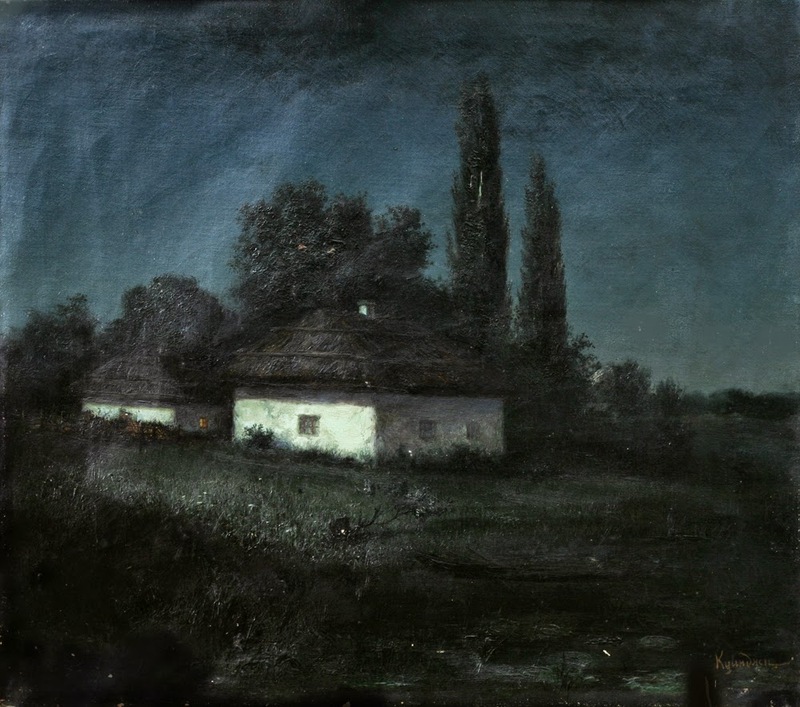 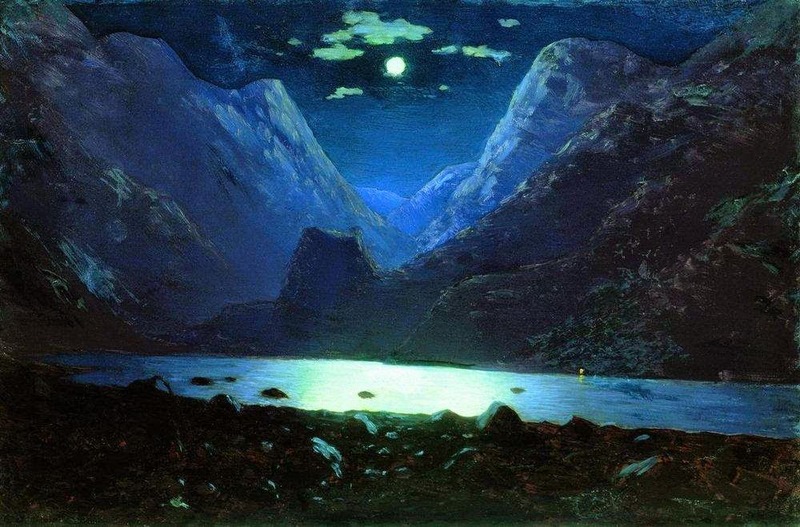 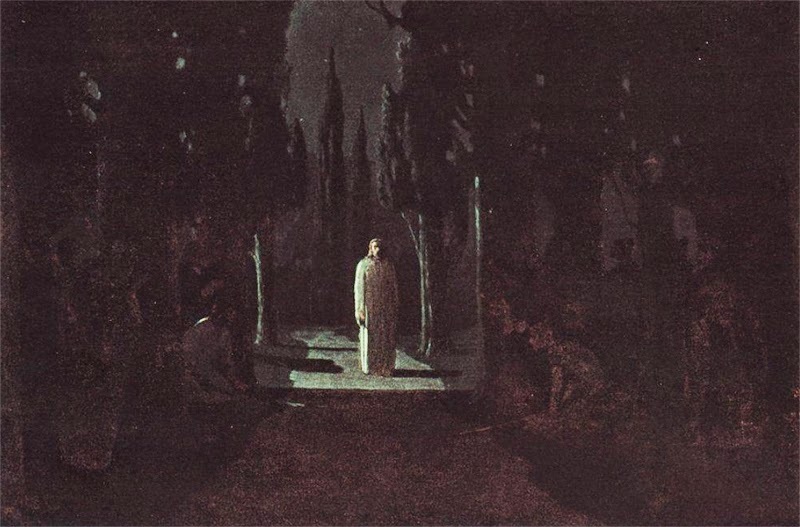 Arkhip Kuindzhi was an Ukrainian/Russian of Greek origin landscape painter with a talent for depicting light and its effects. 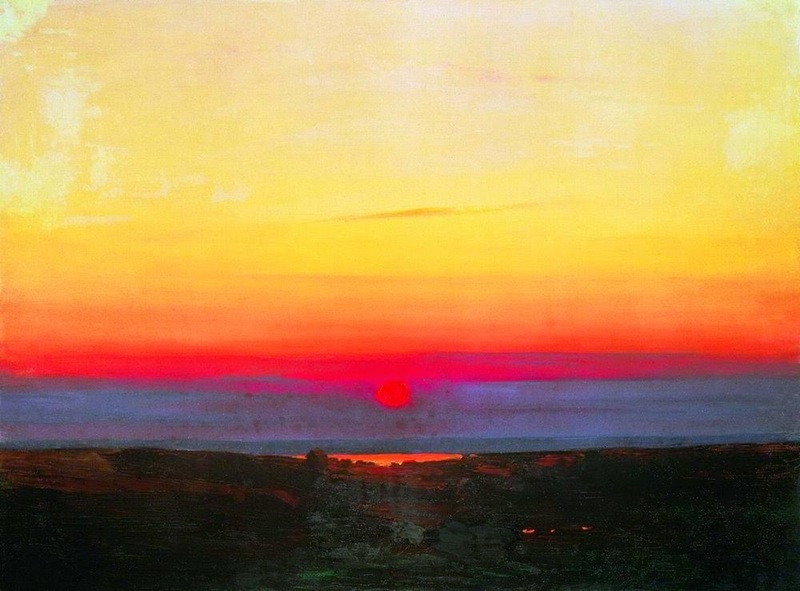 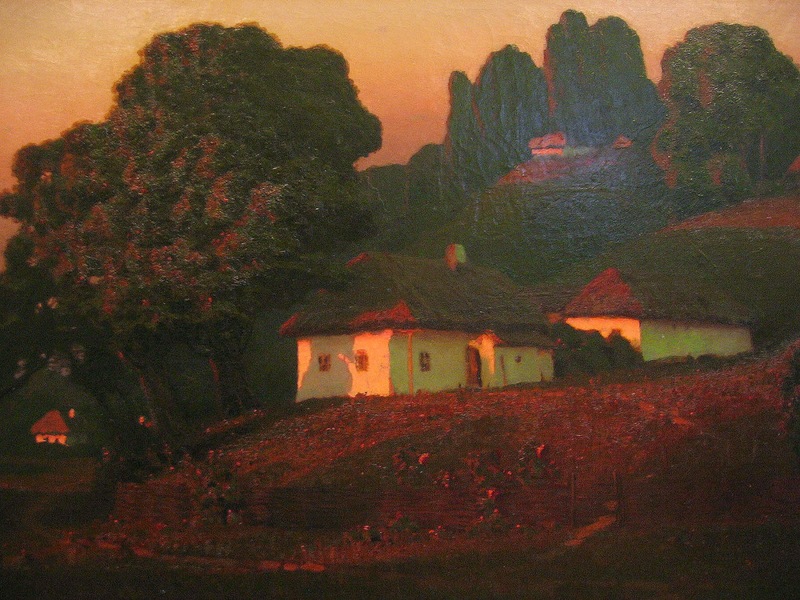 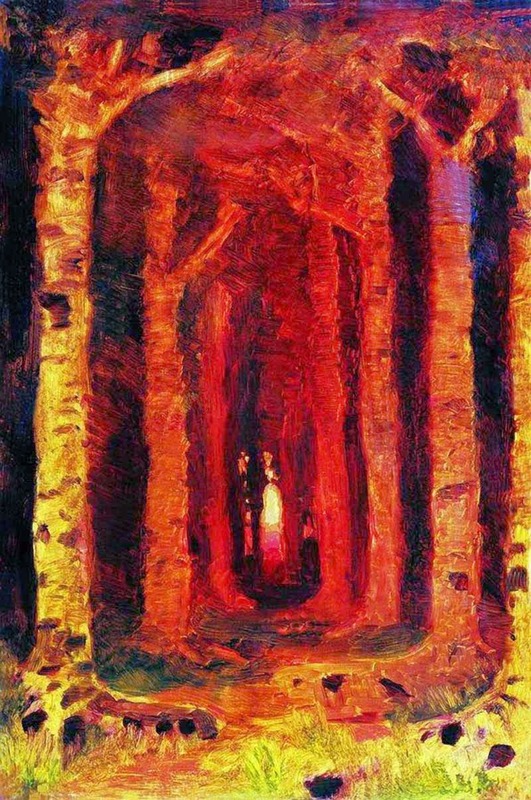 In 1872, the work named Autumn Impassibility of Roads brought Kuindzhi an Academy title of a "class artist of the third grade", given to Academy graduates. 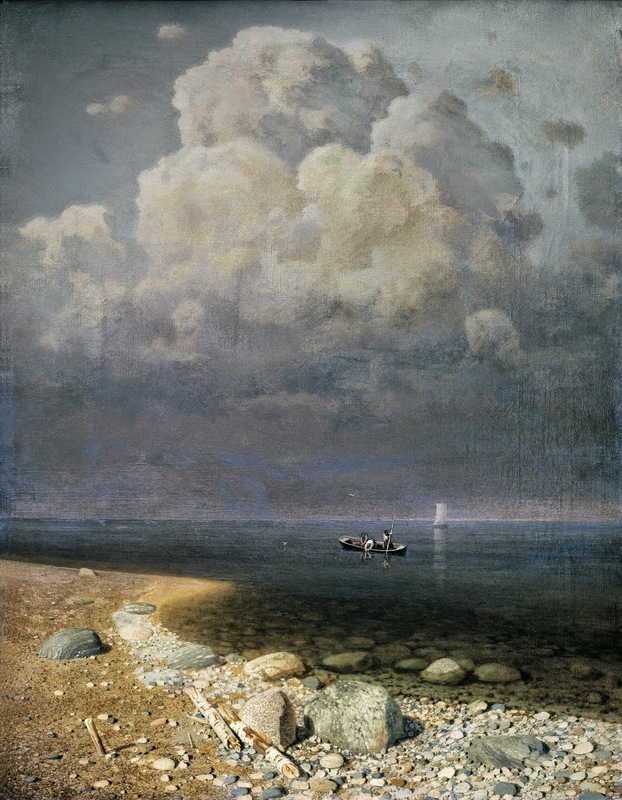 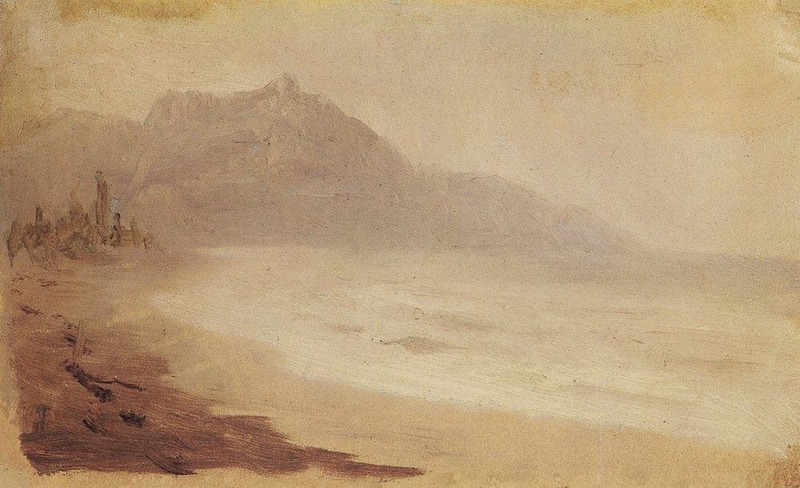 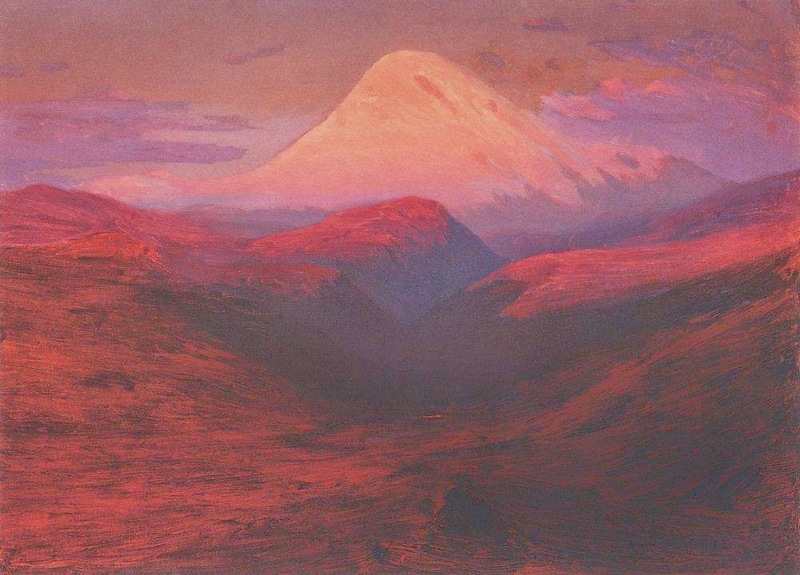 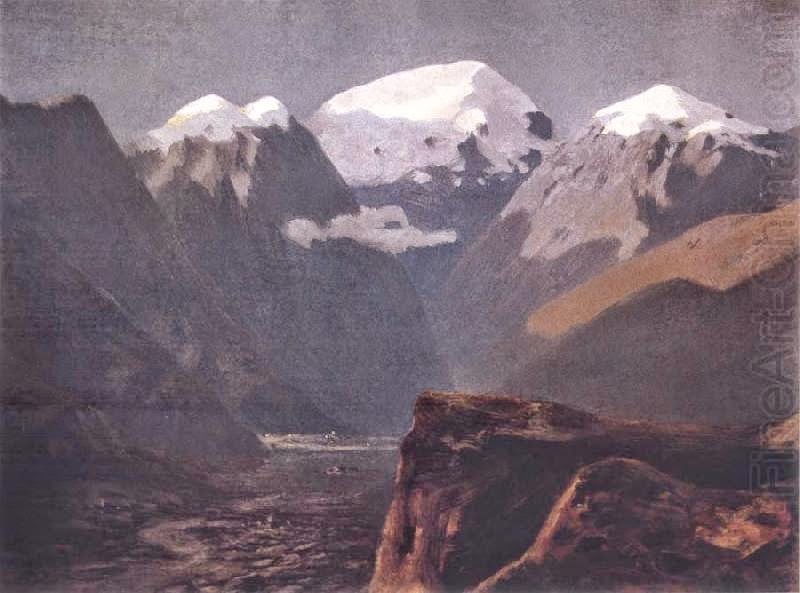 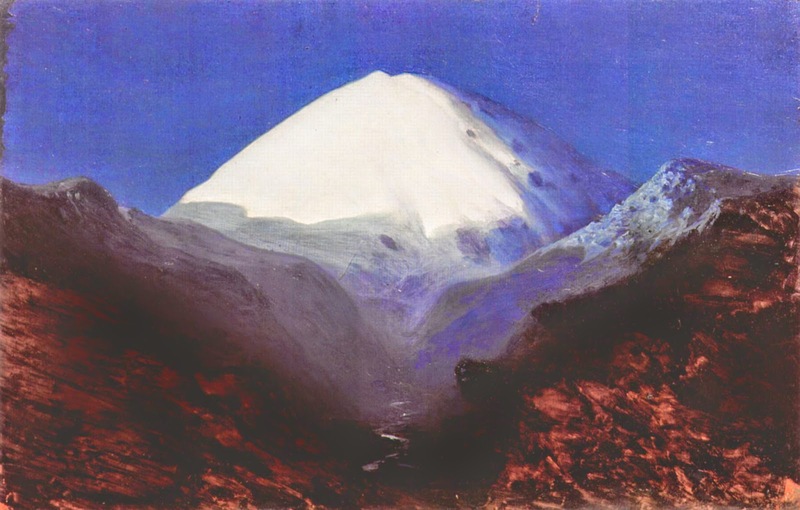 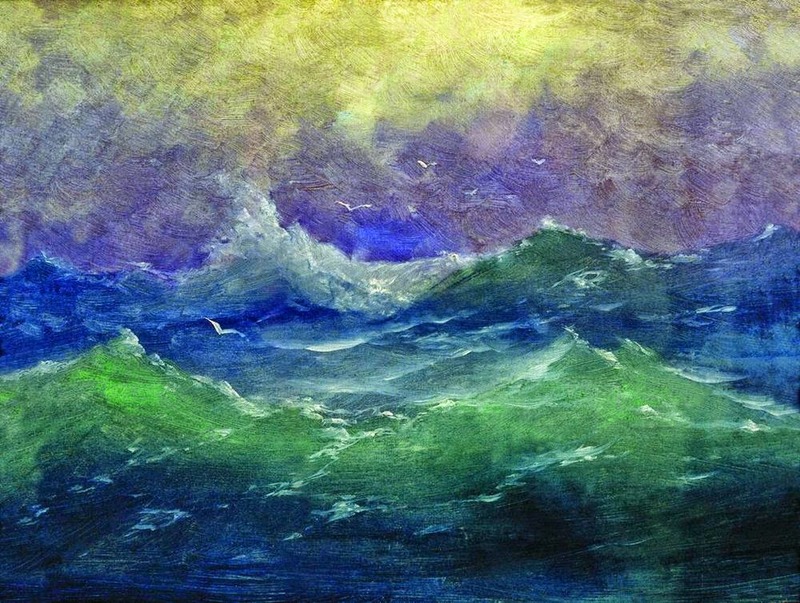 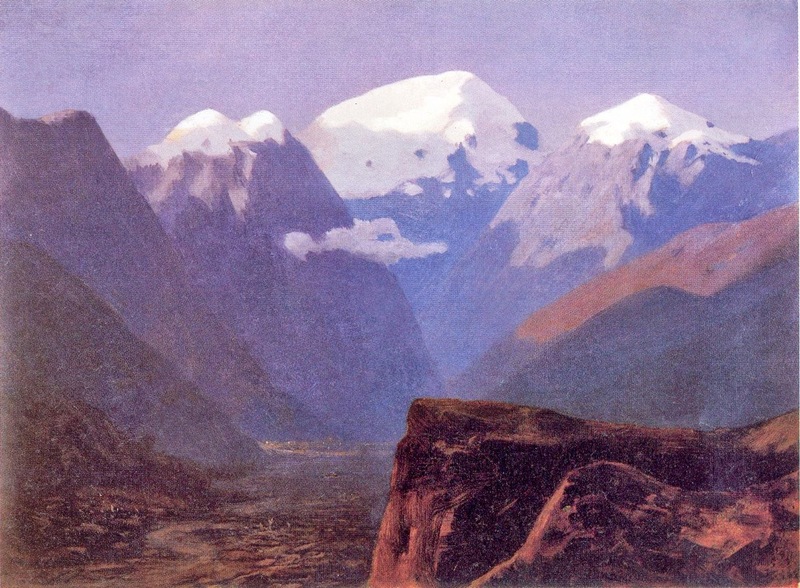 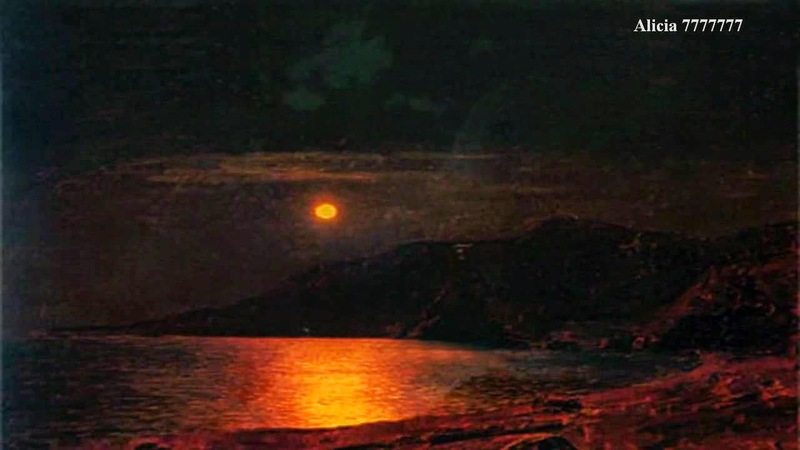 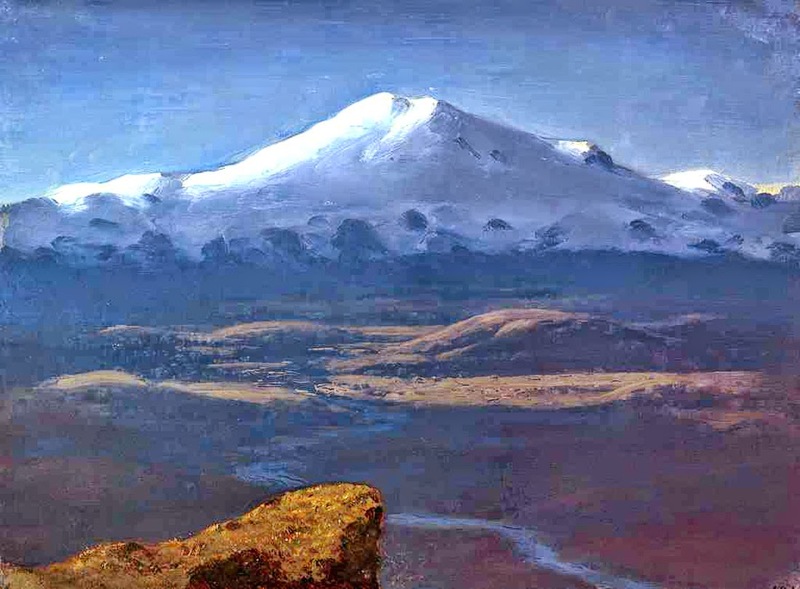 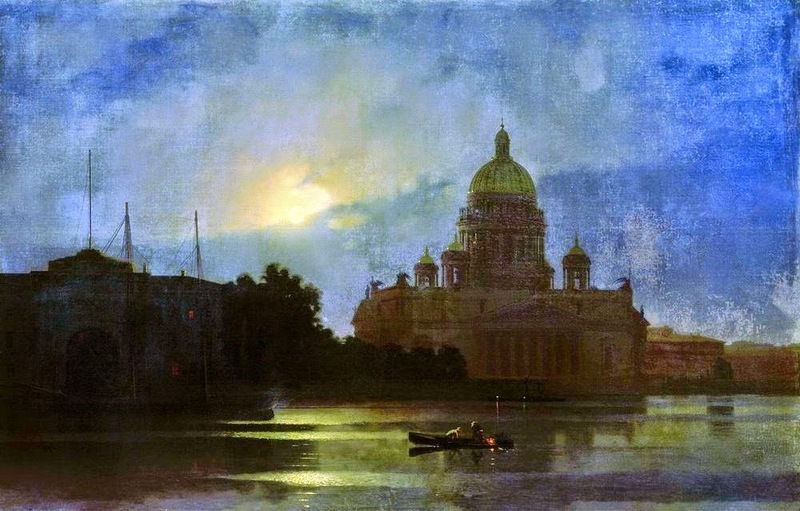 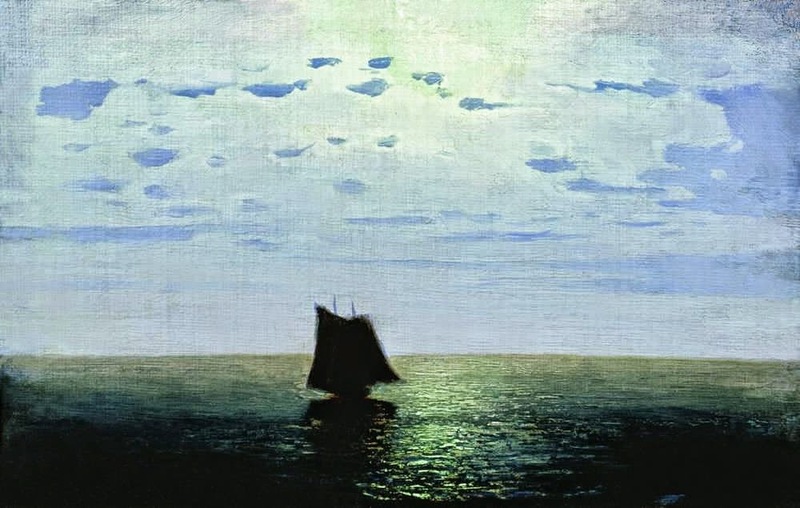 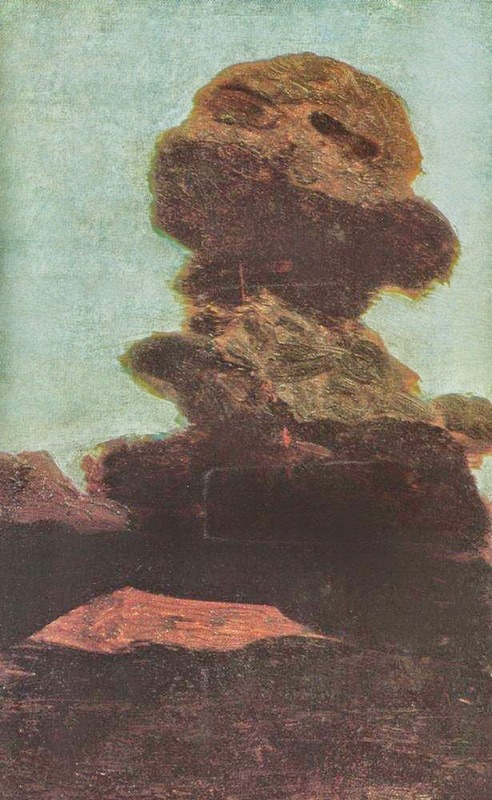 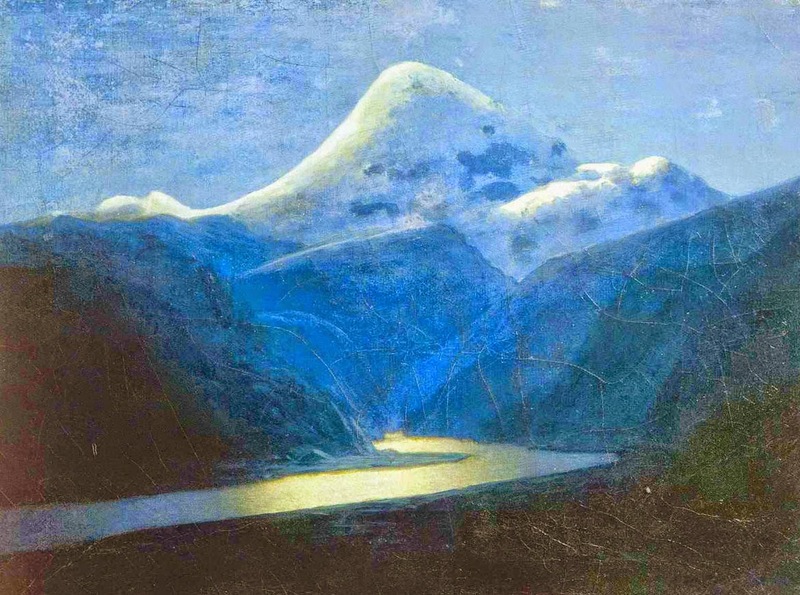 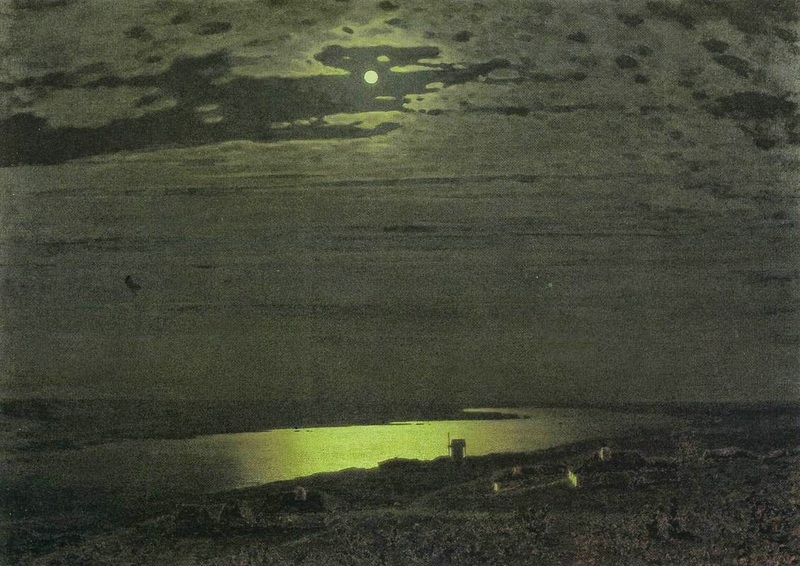 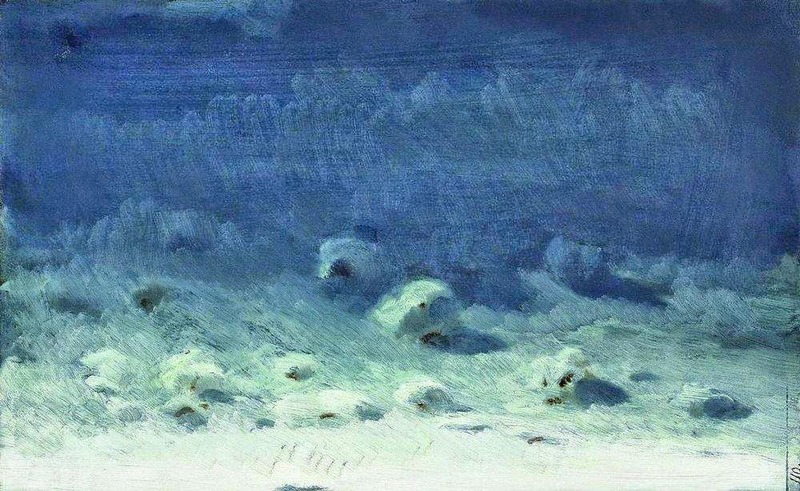 While his early paintings, according to critics, noticeably resembled Aivazovsky’s, this one was considered original.